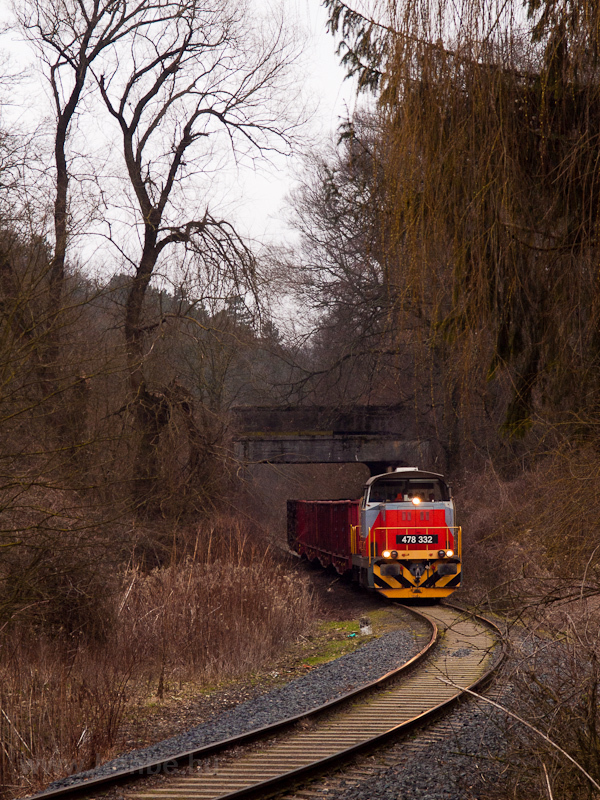 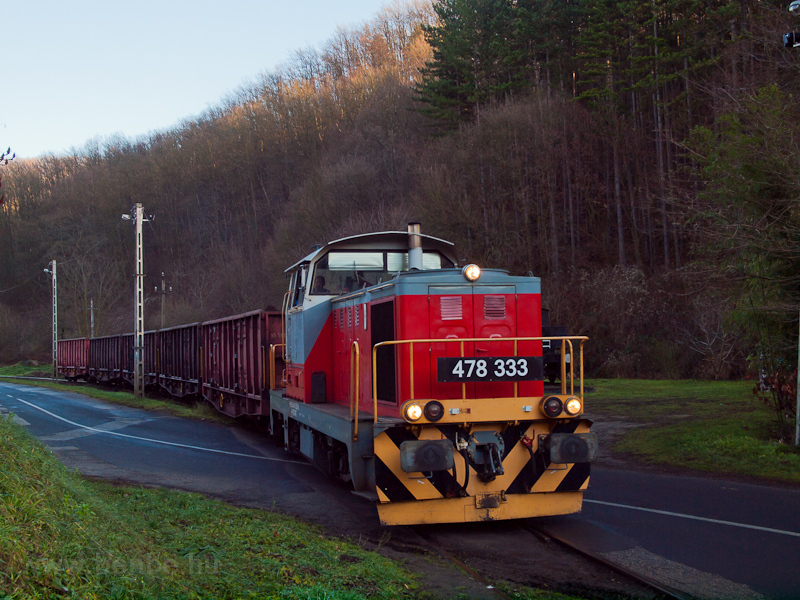 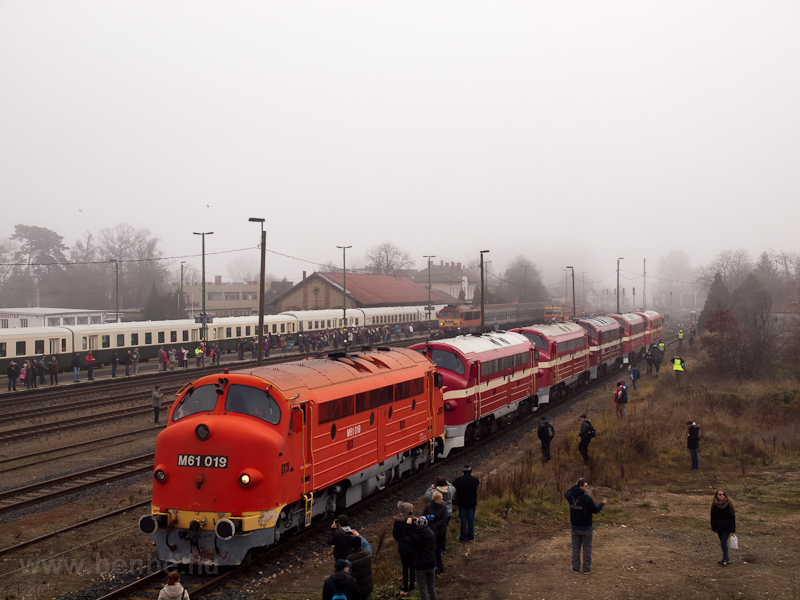 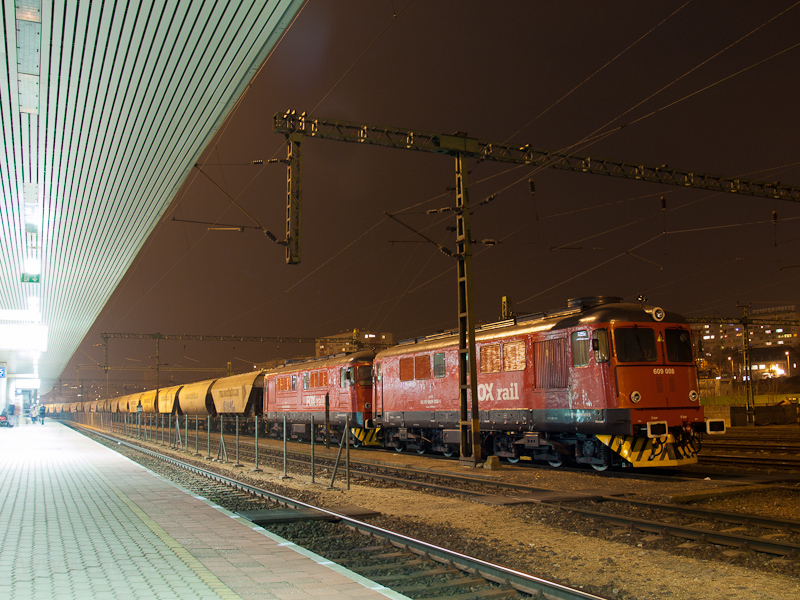 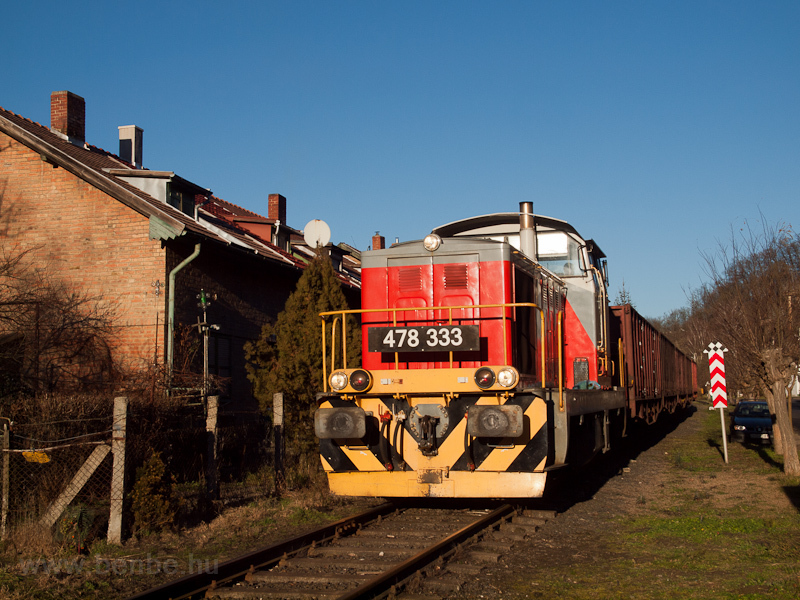 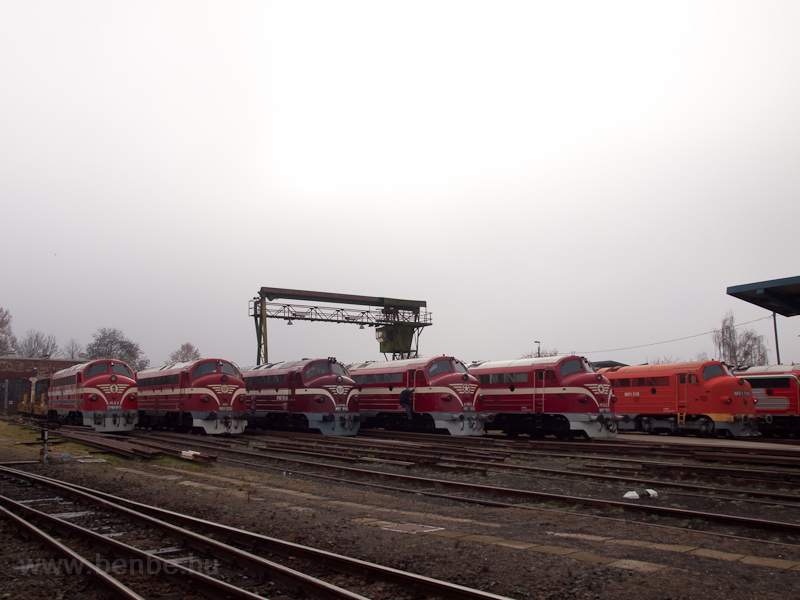 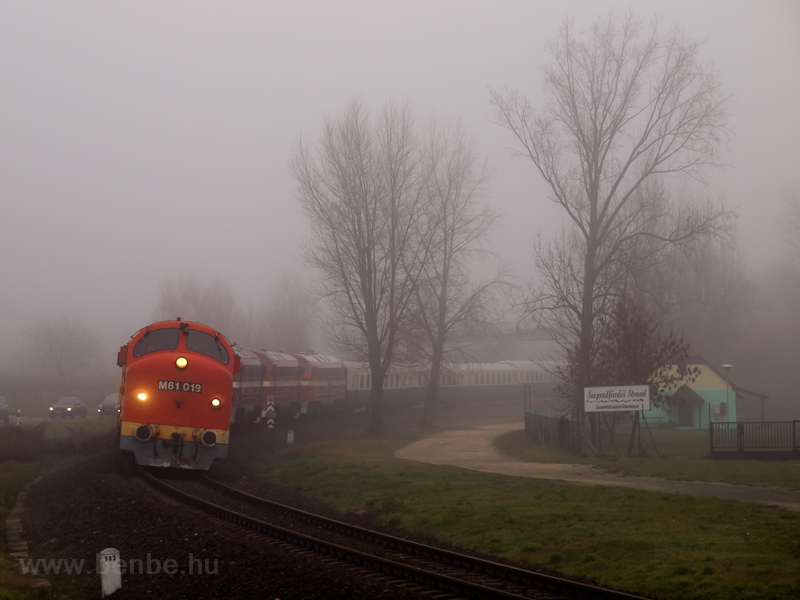 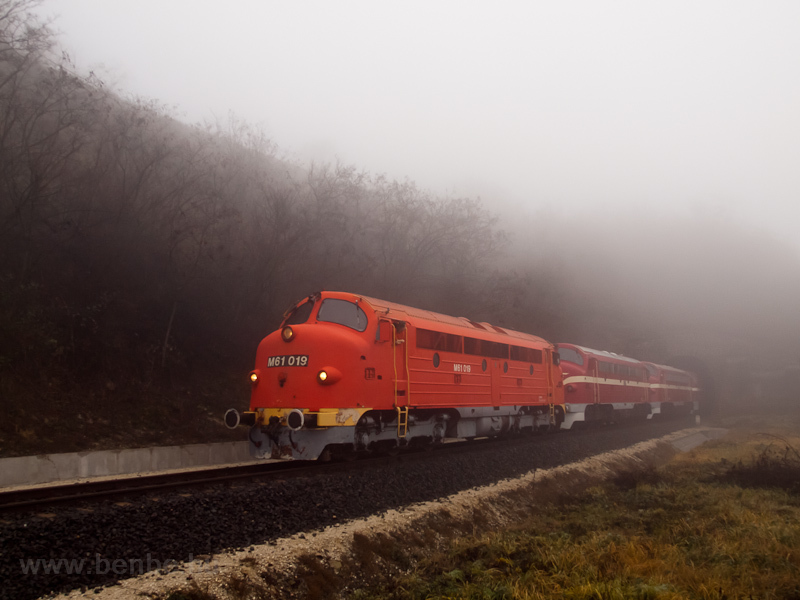 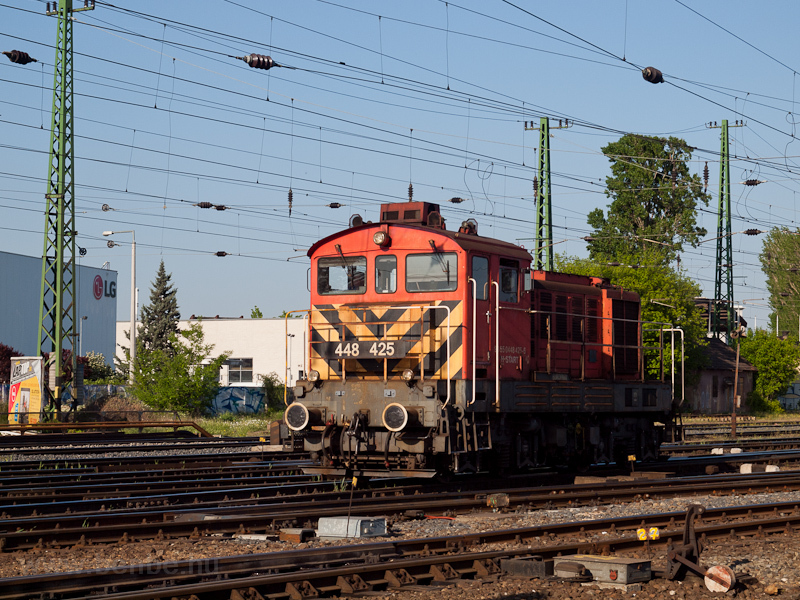 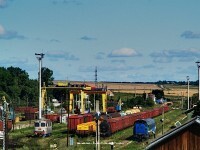 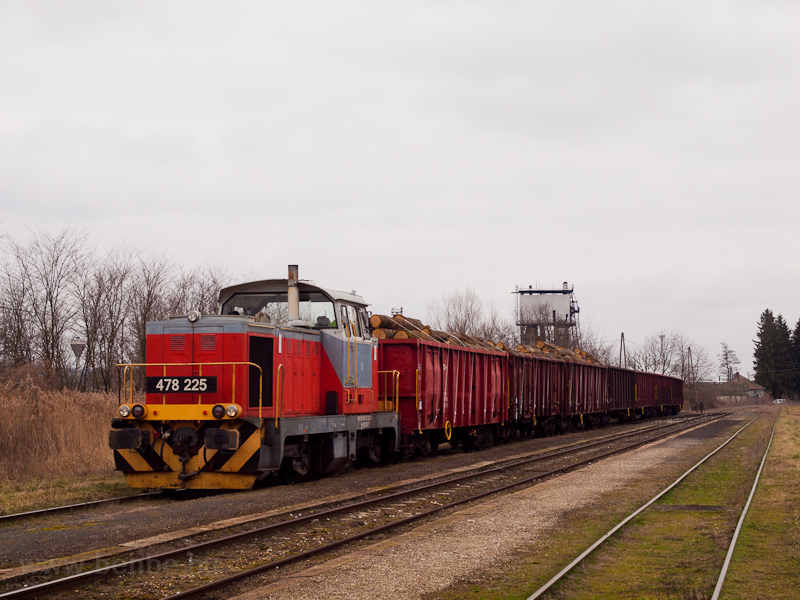 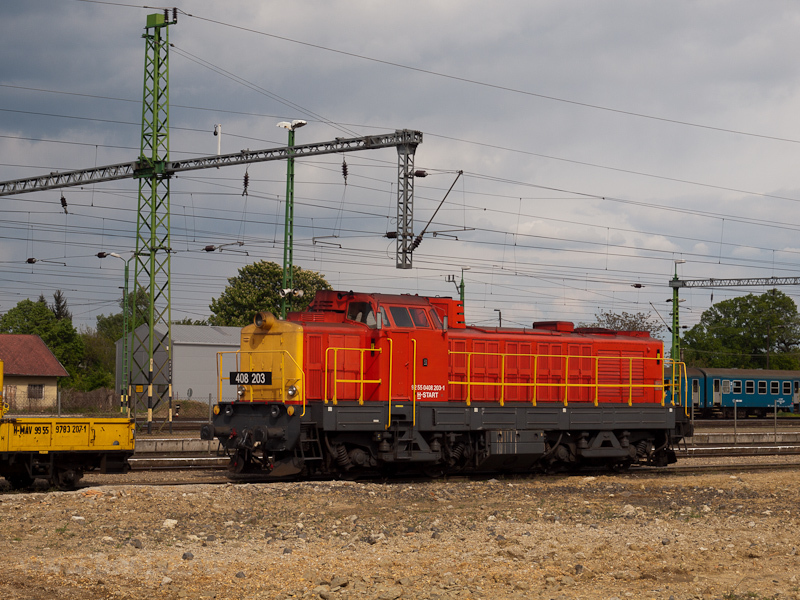 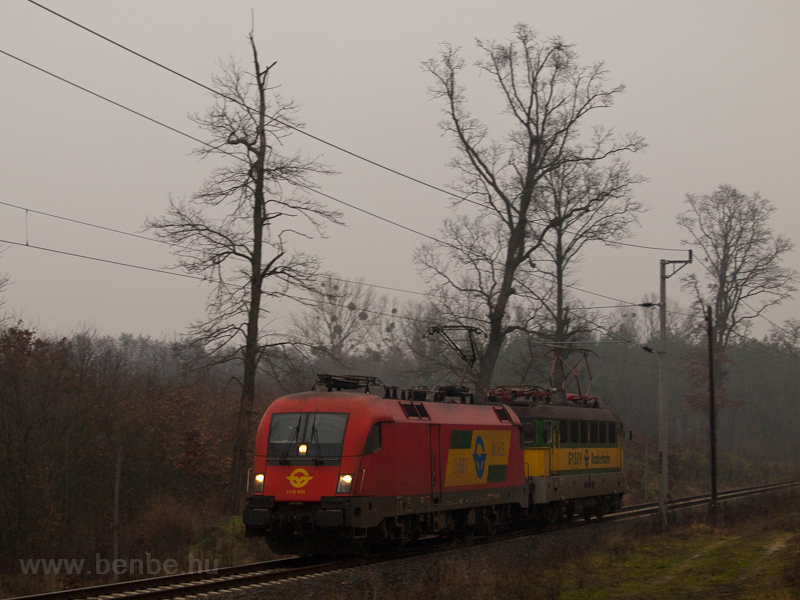 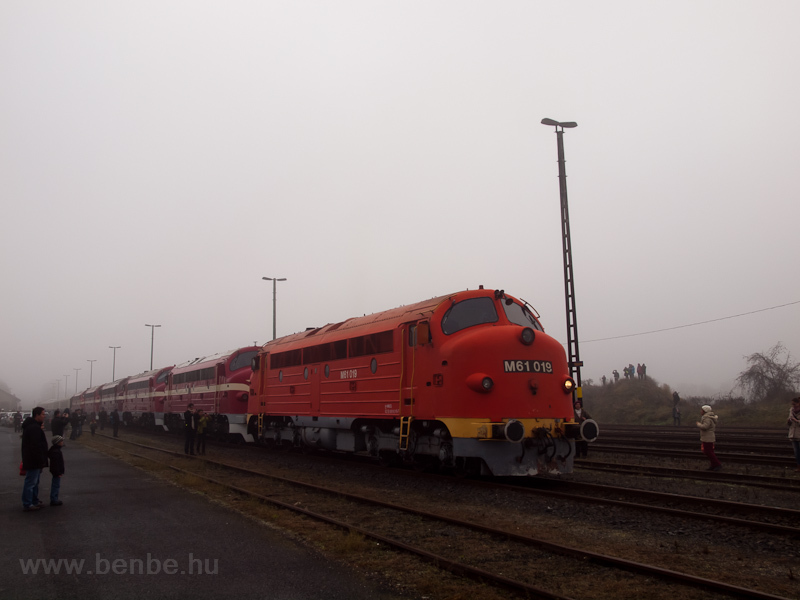 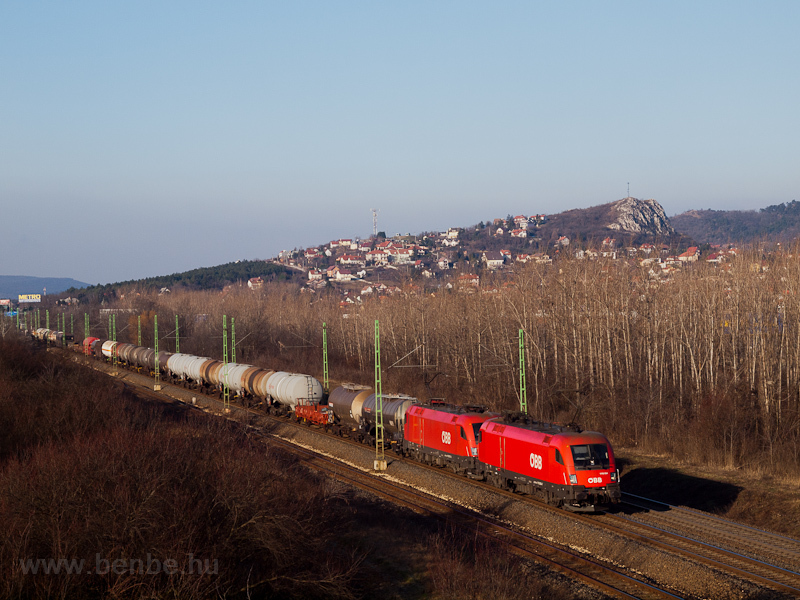 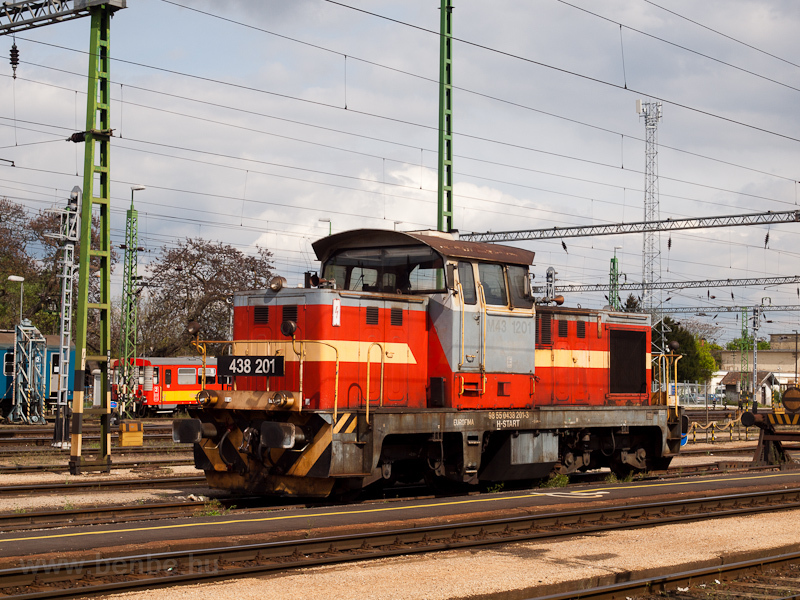 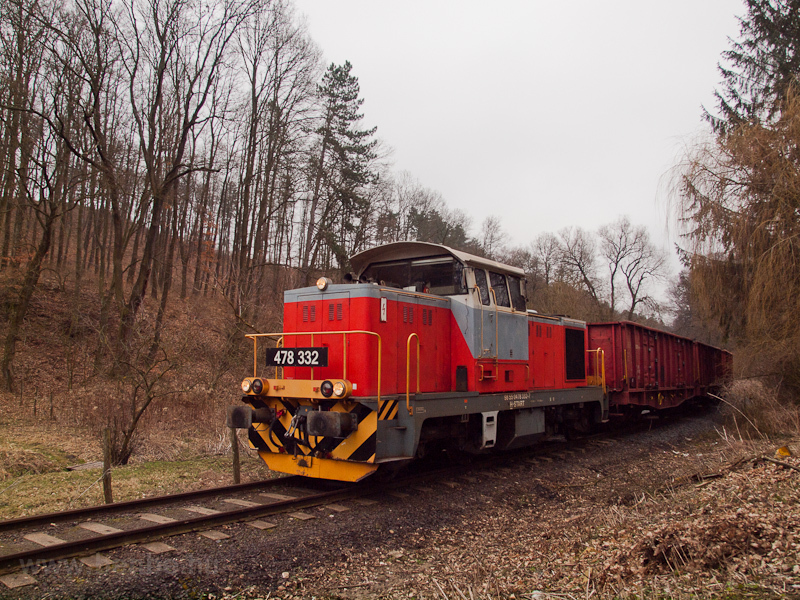 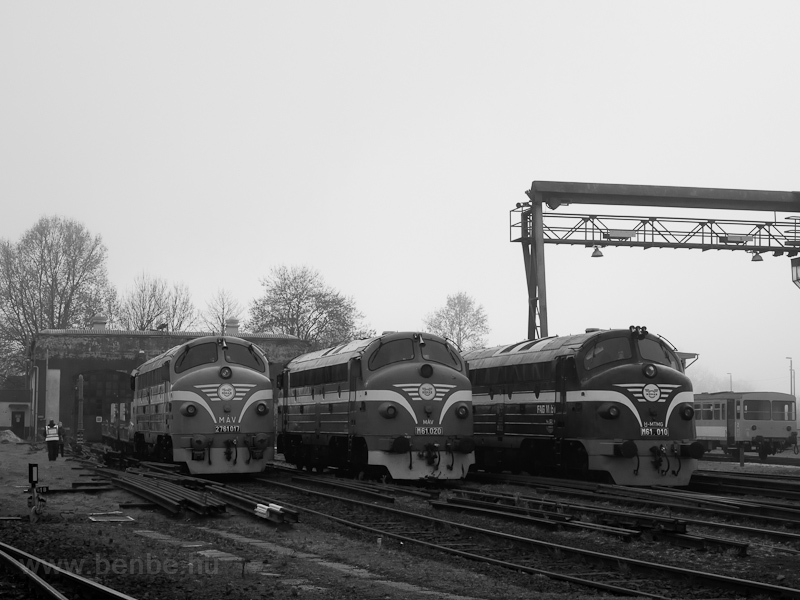 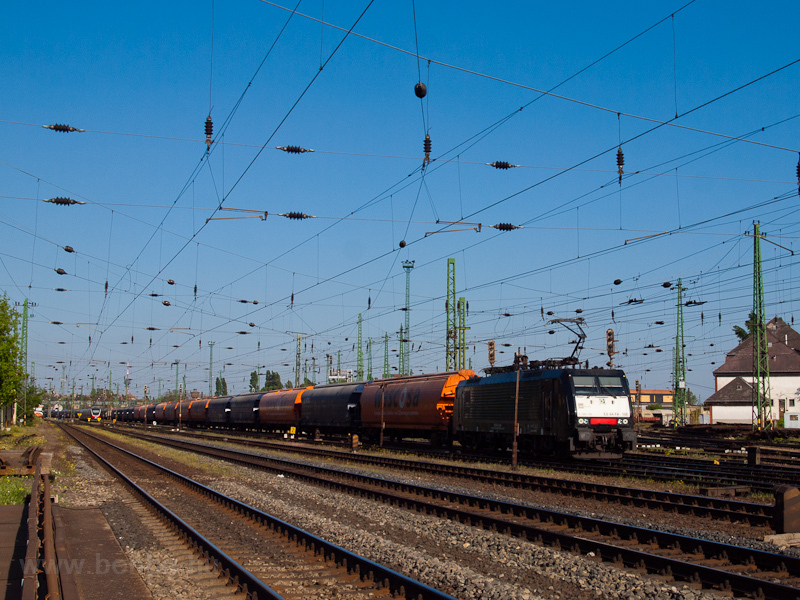 Diesels everywhere - goods trains in the Bakony, Ludmilla on IC and 6 NoHAB to Tapolca in one train! 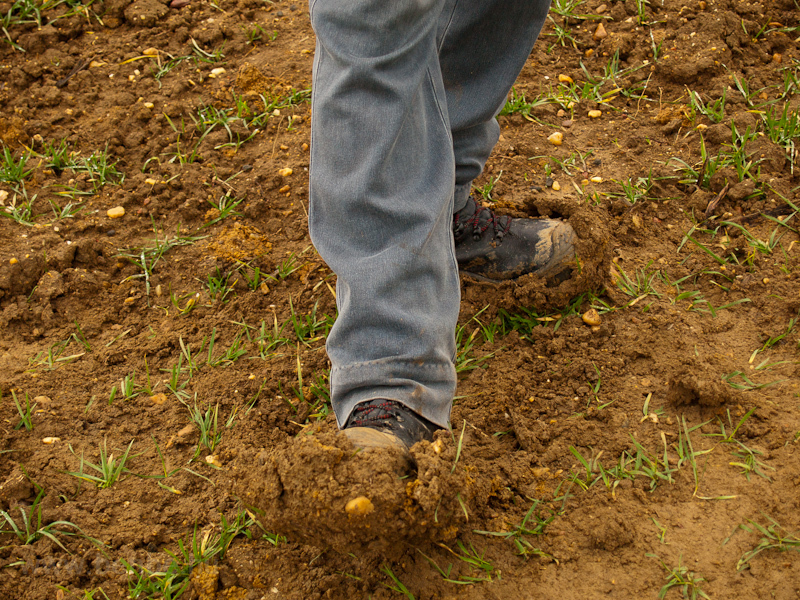 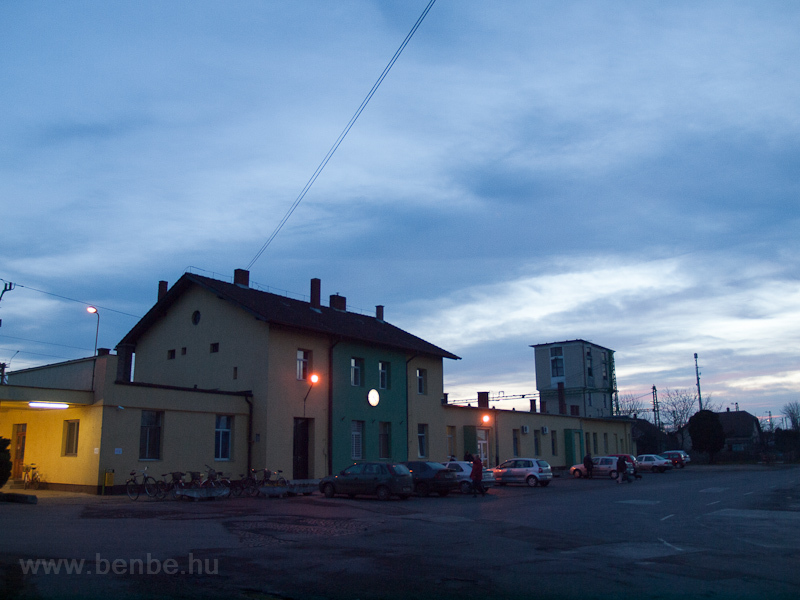 Here you can find photos of what it used to look like. 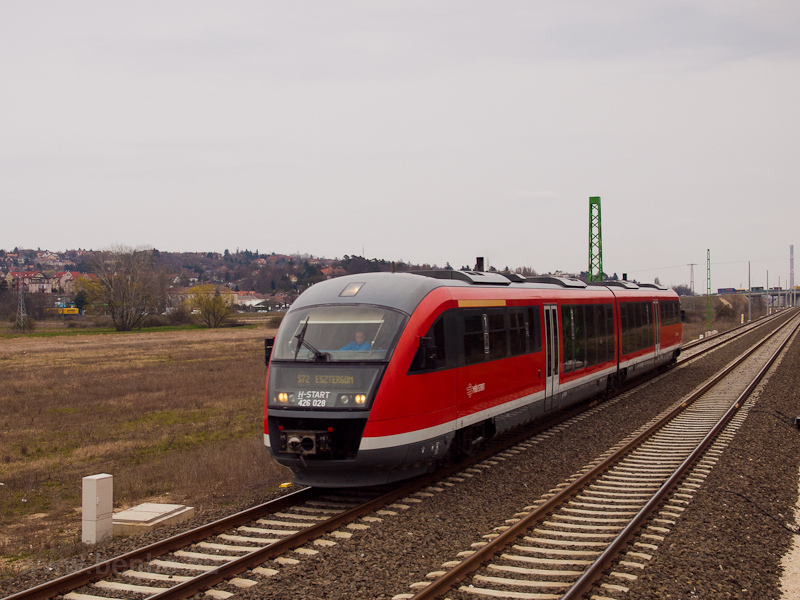 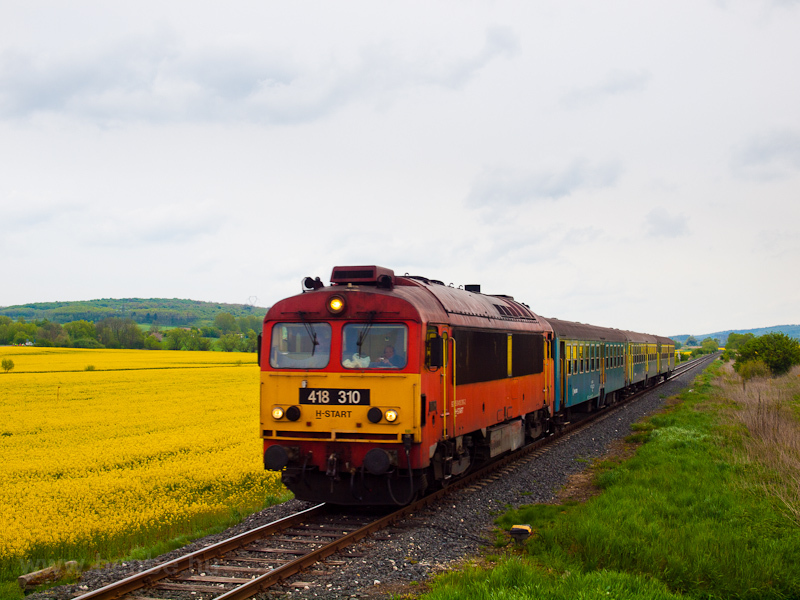 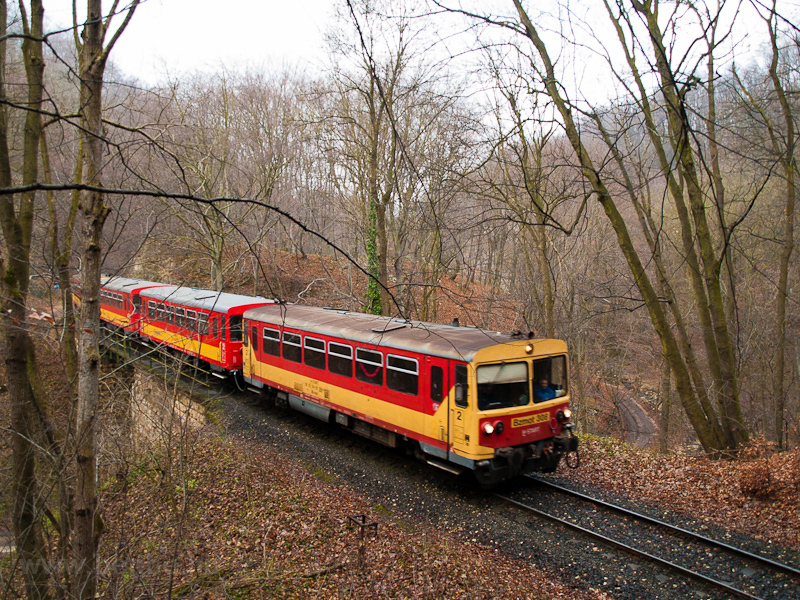 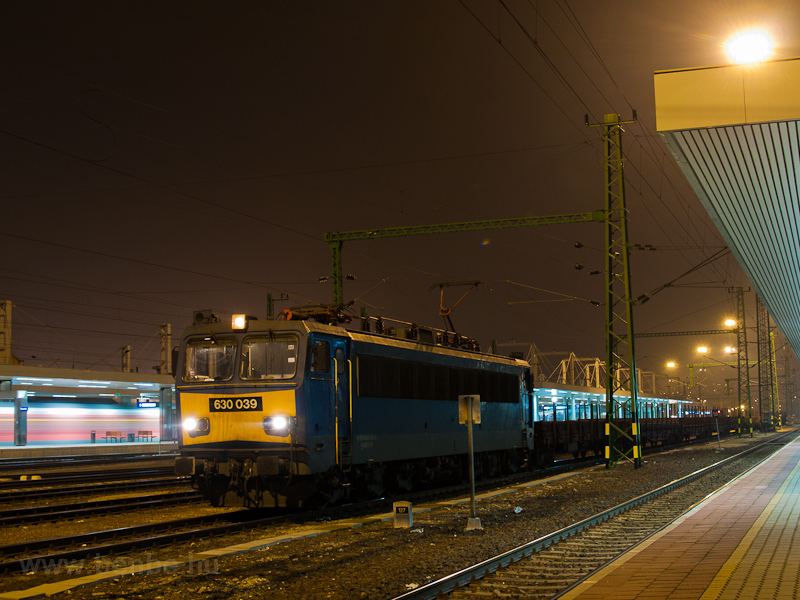 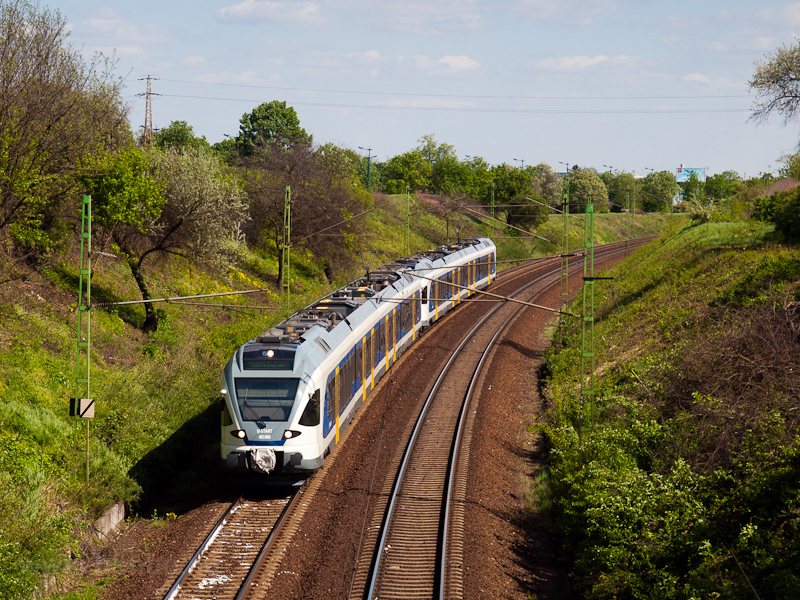 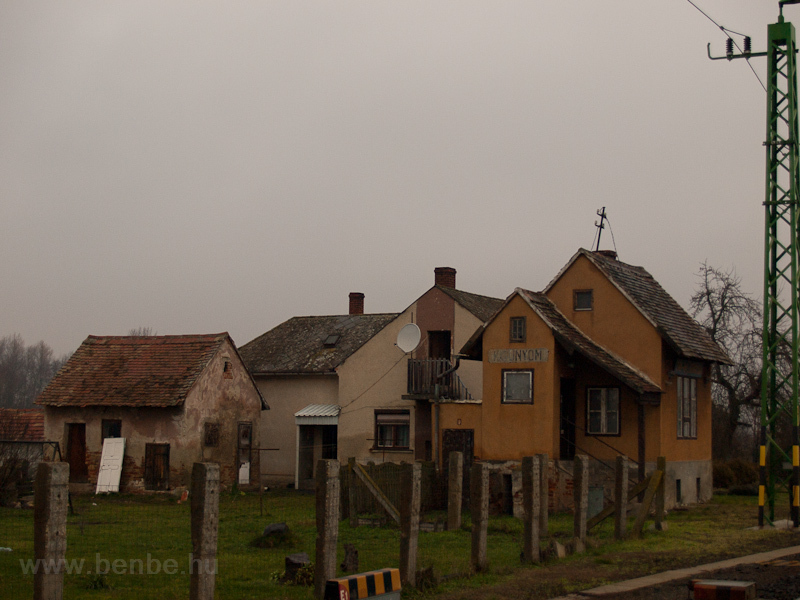 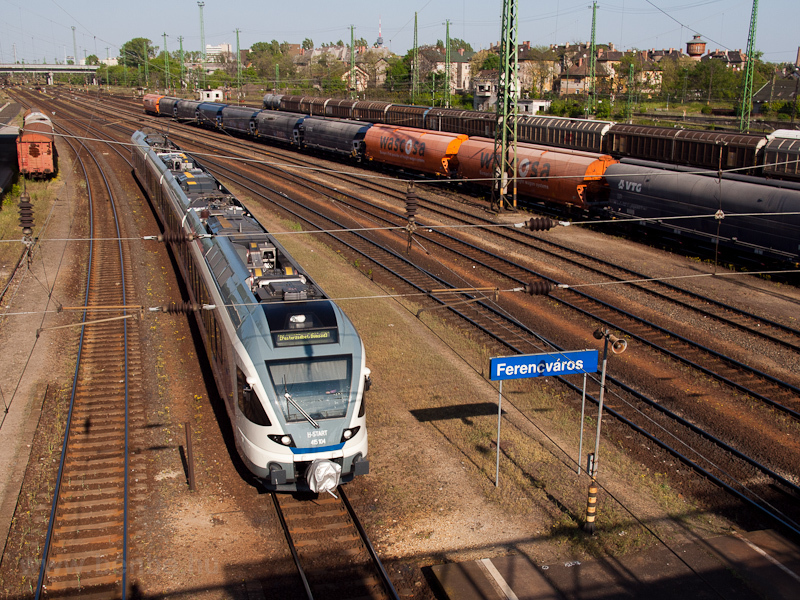 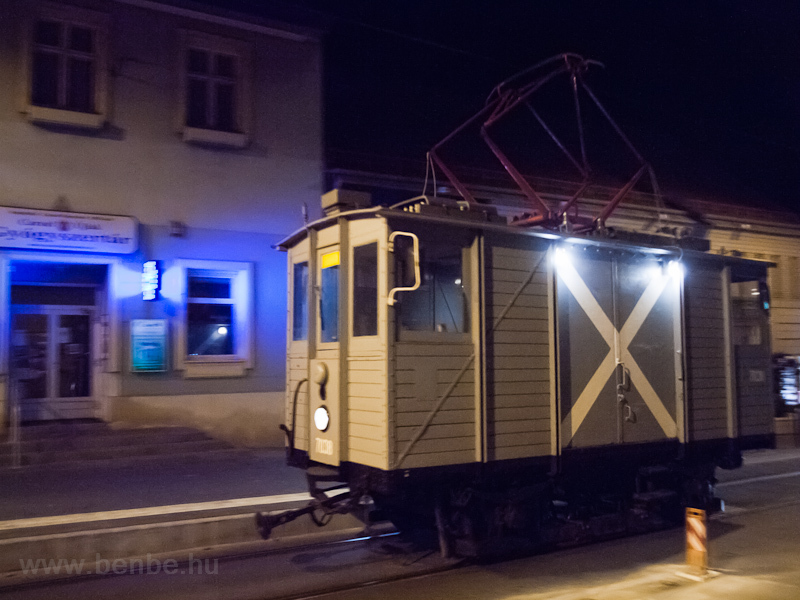 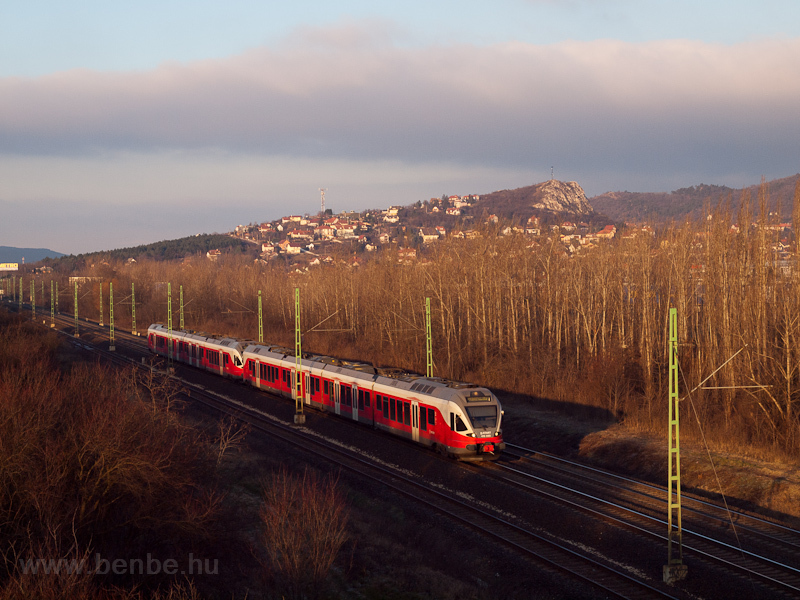 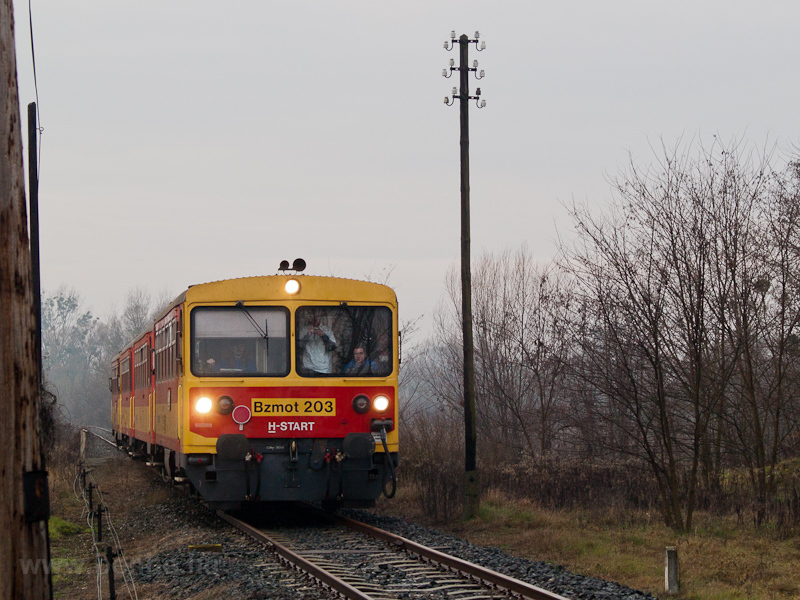 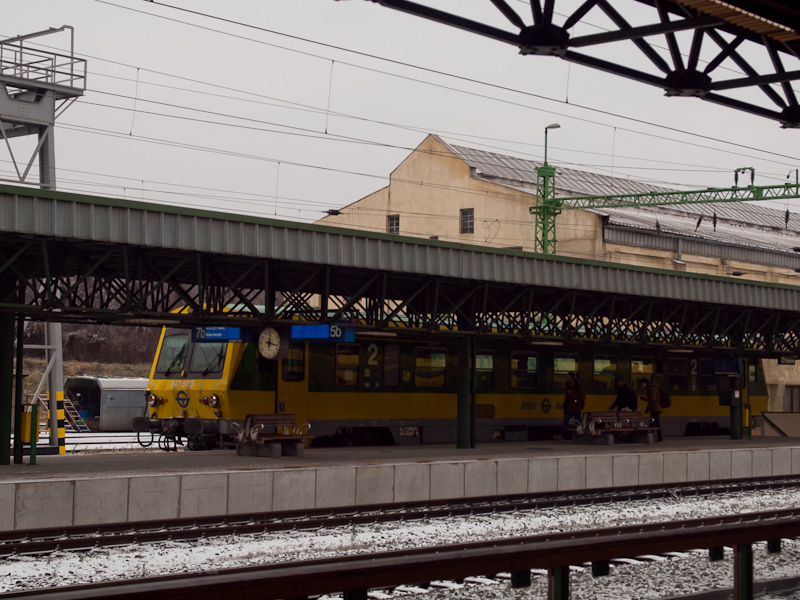 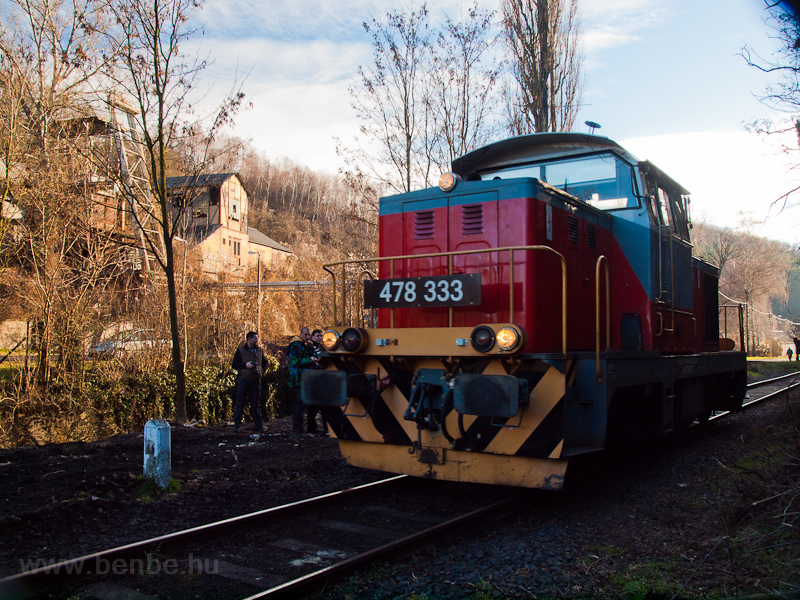 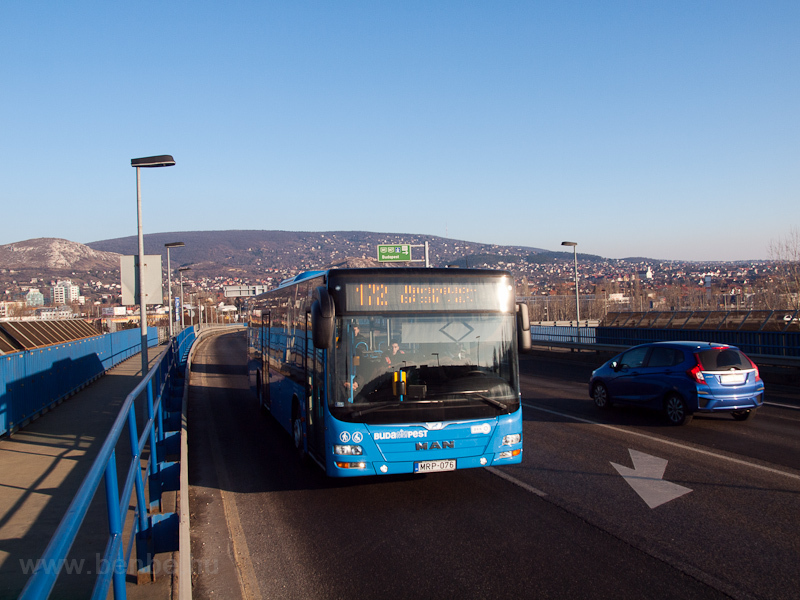 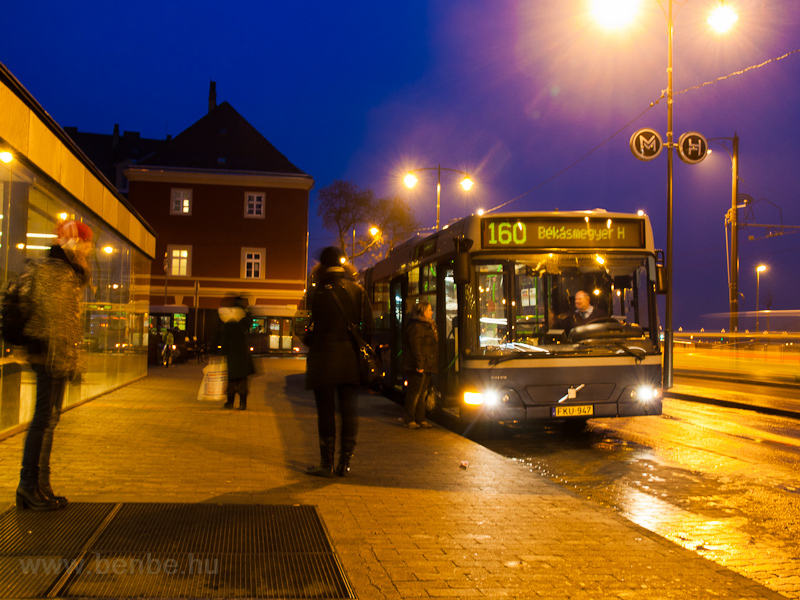 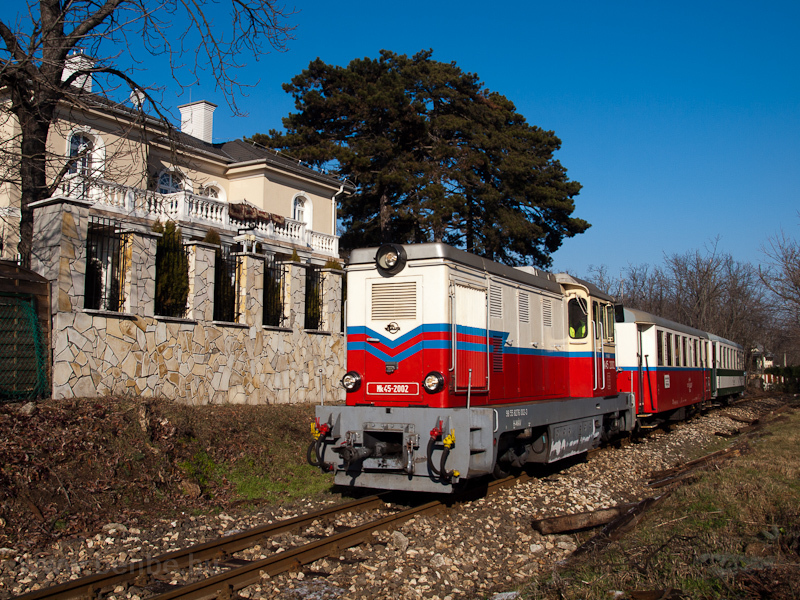 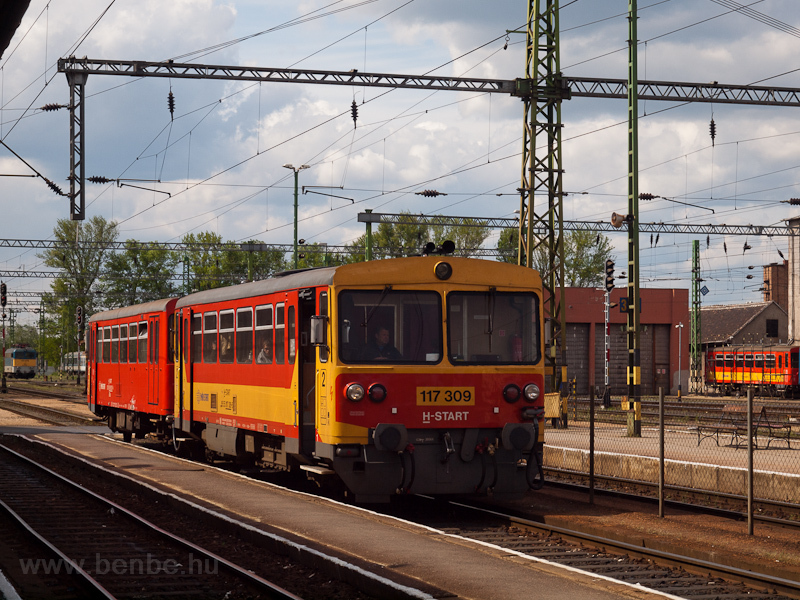 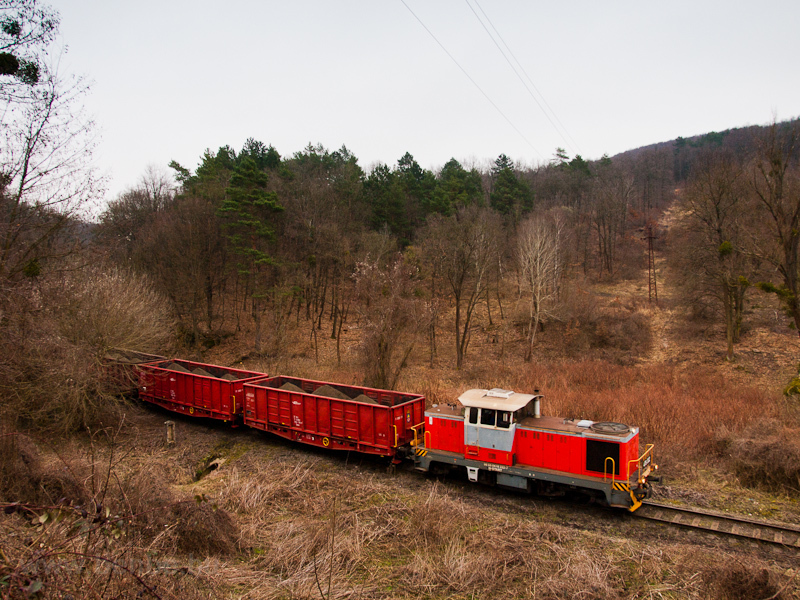 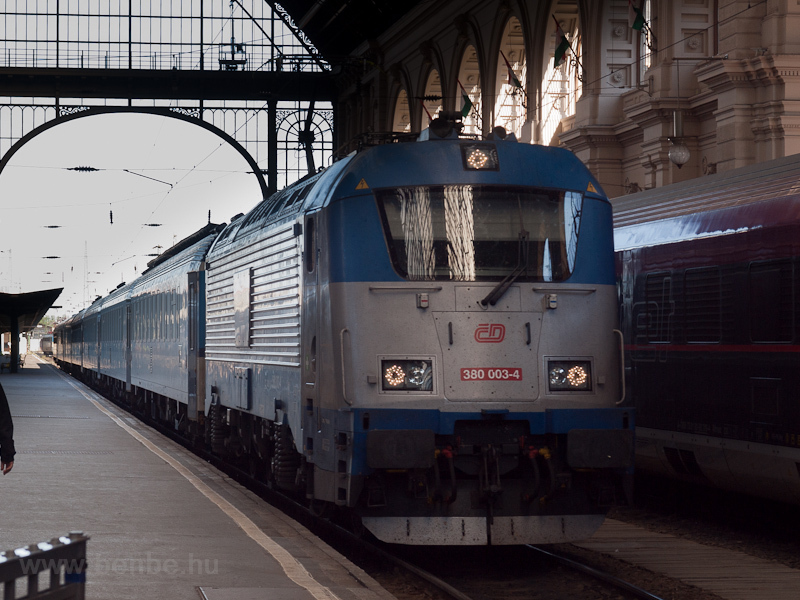 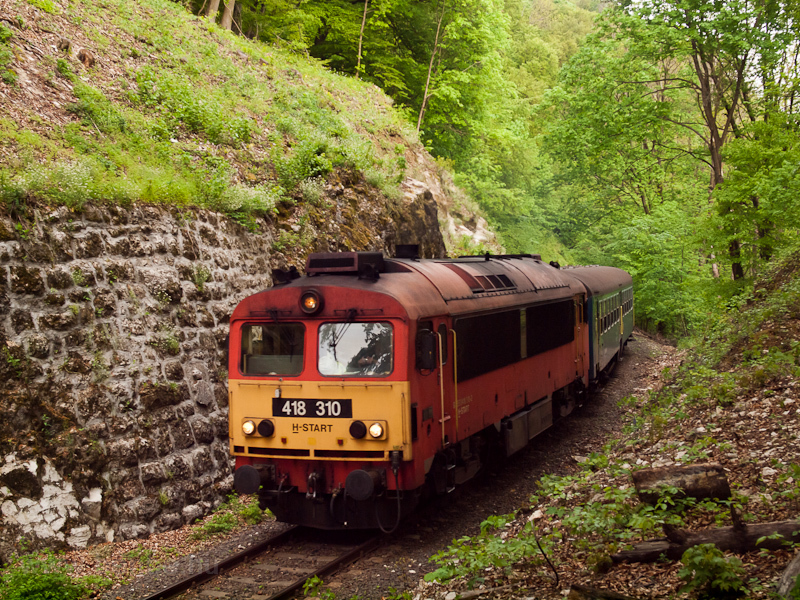 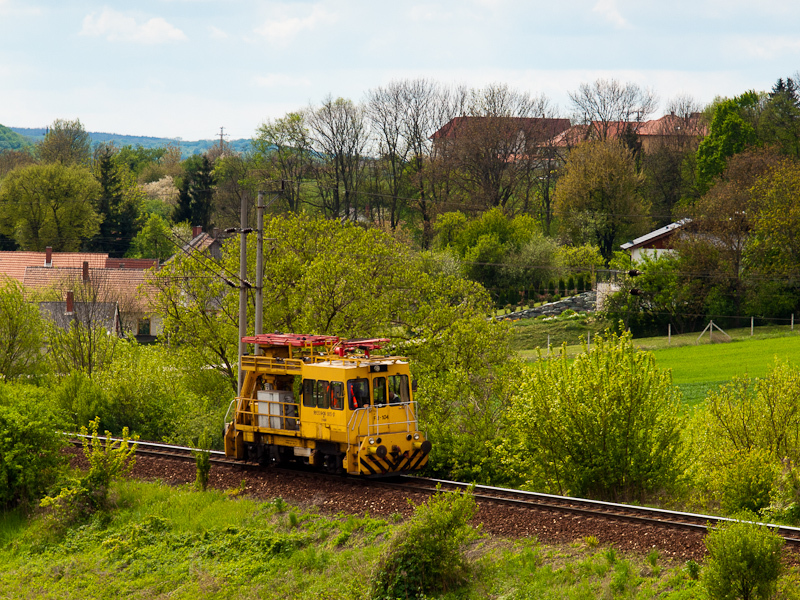 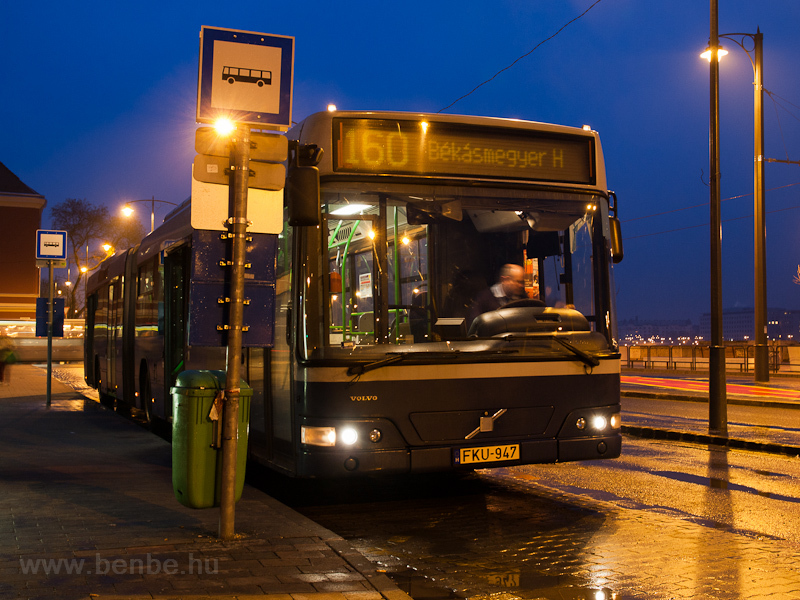 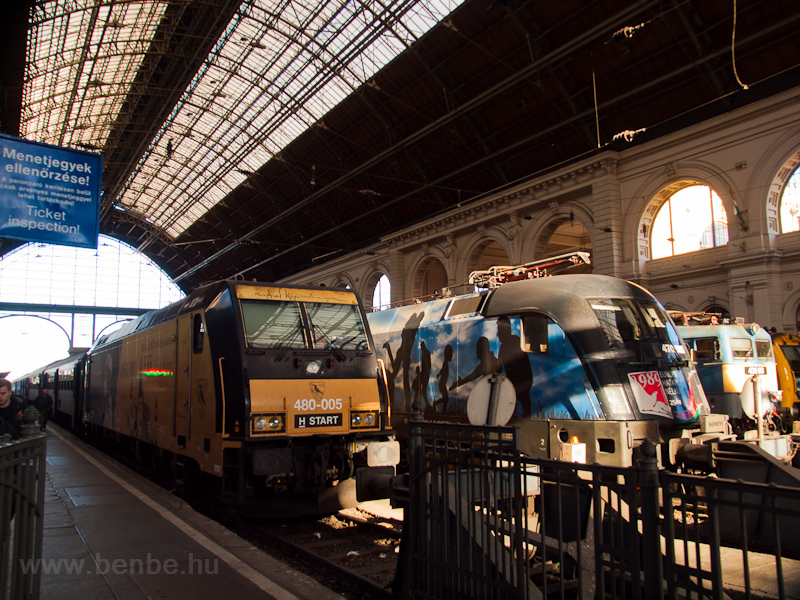 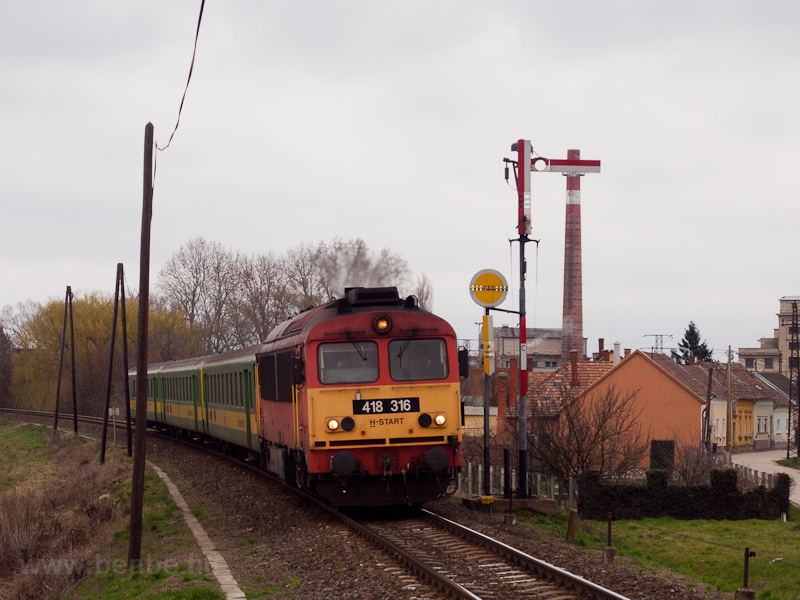 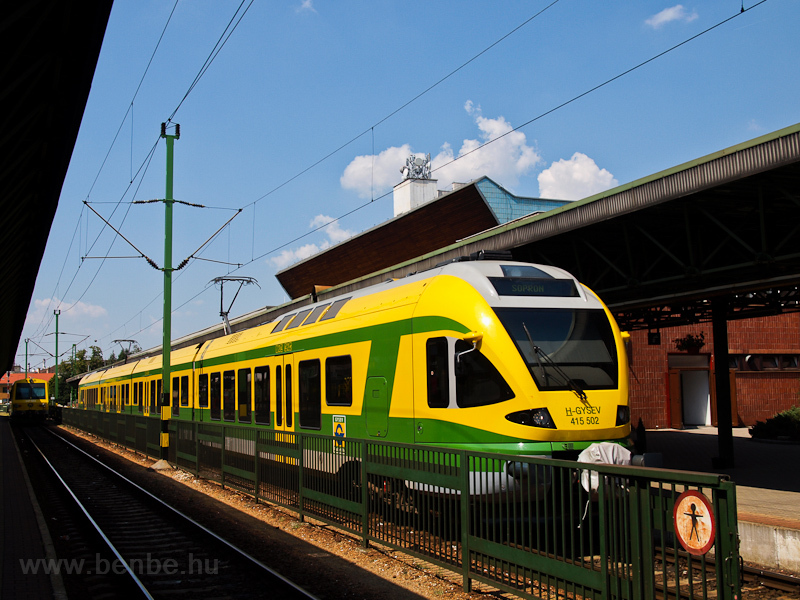 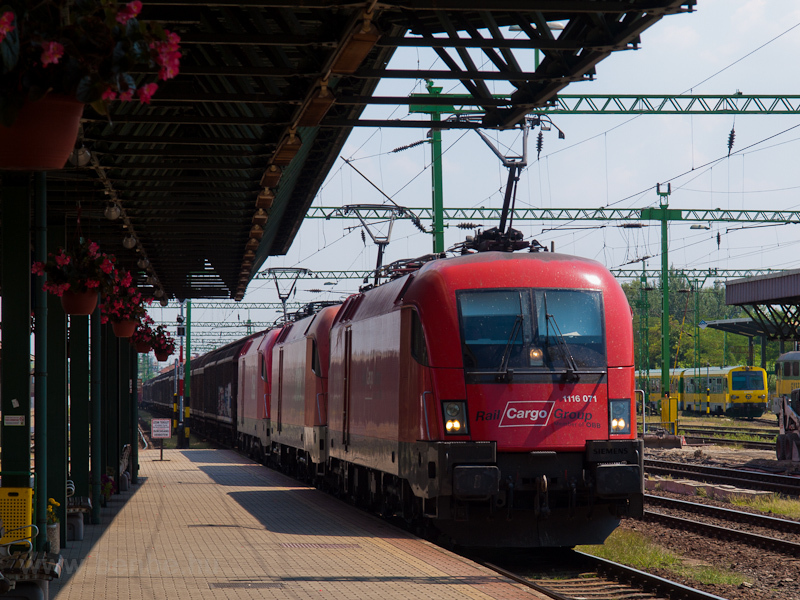 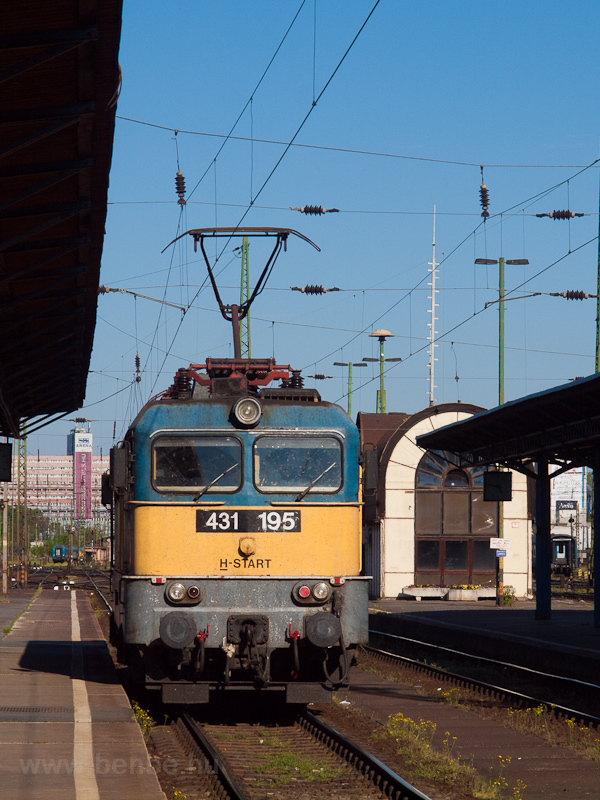 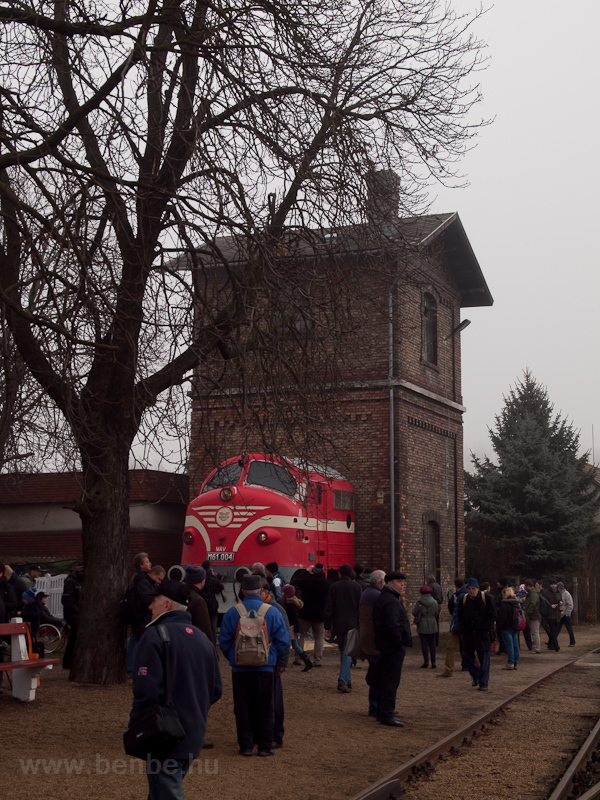 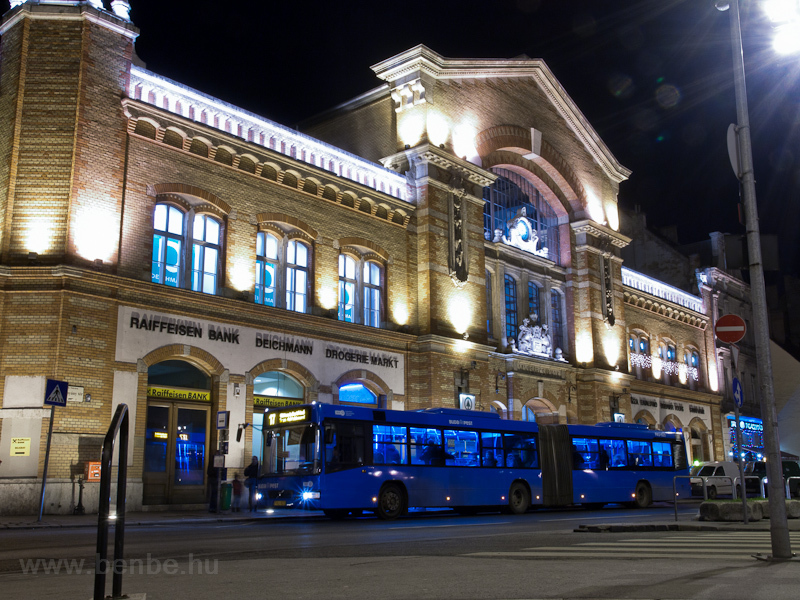 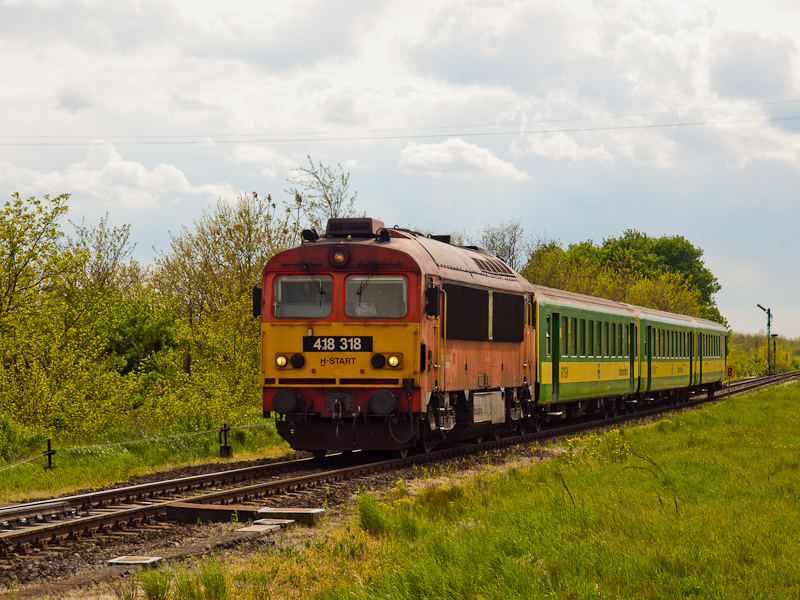 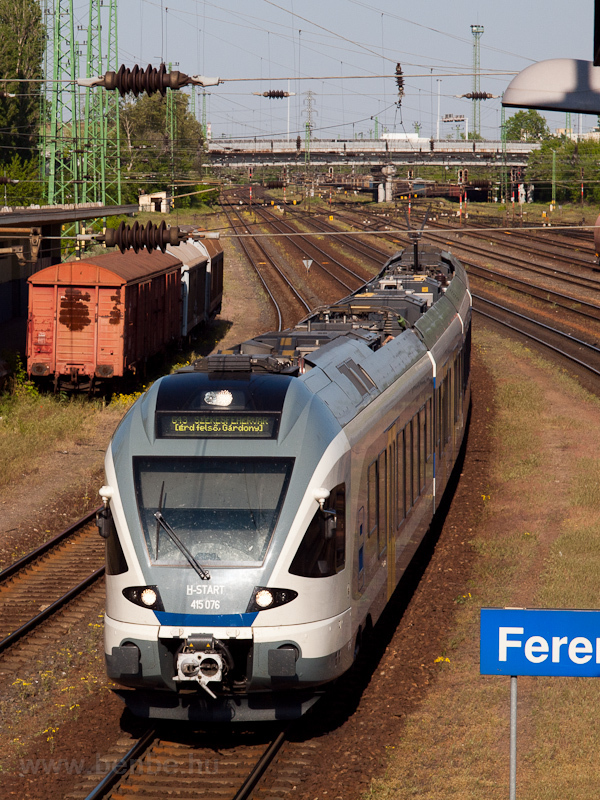 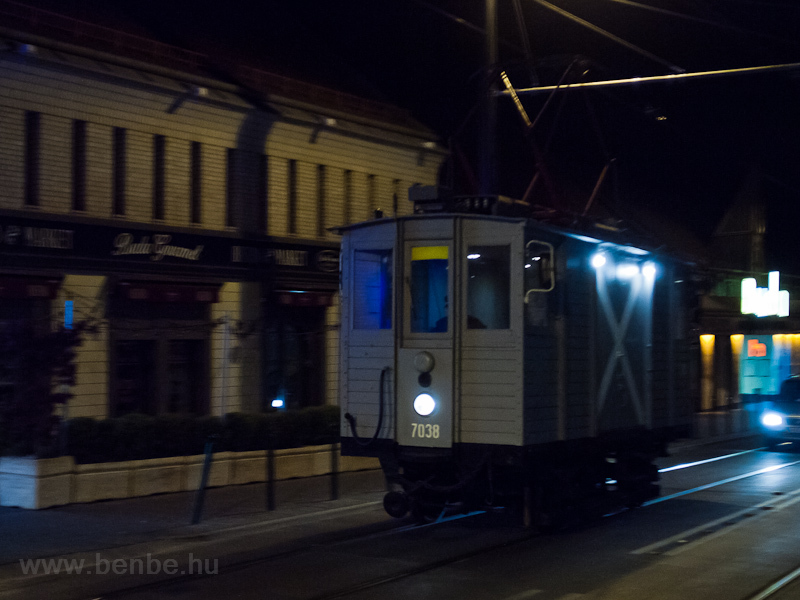 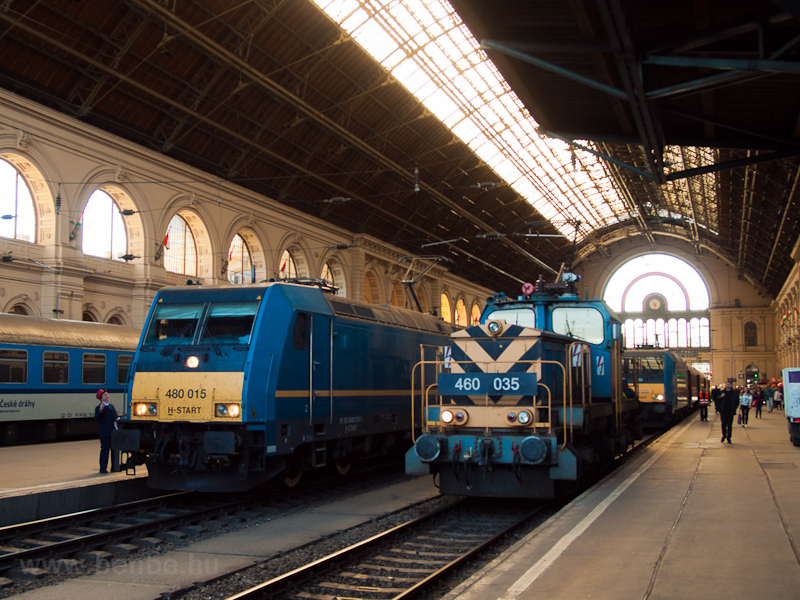 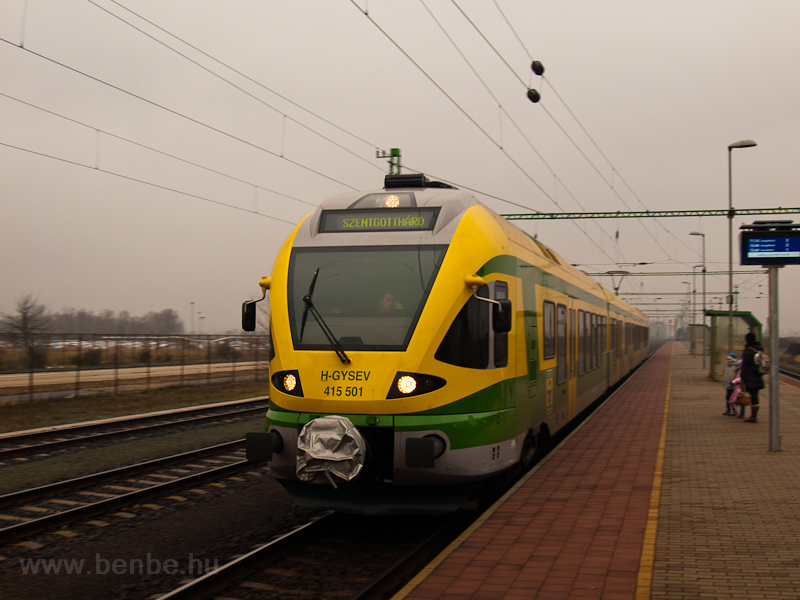 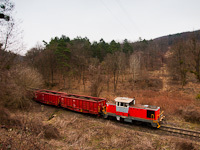 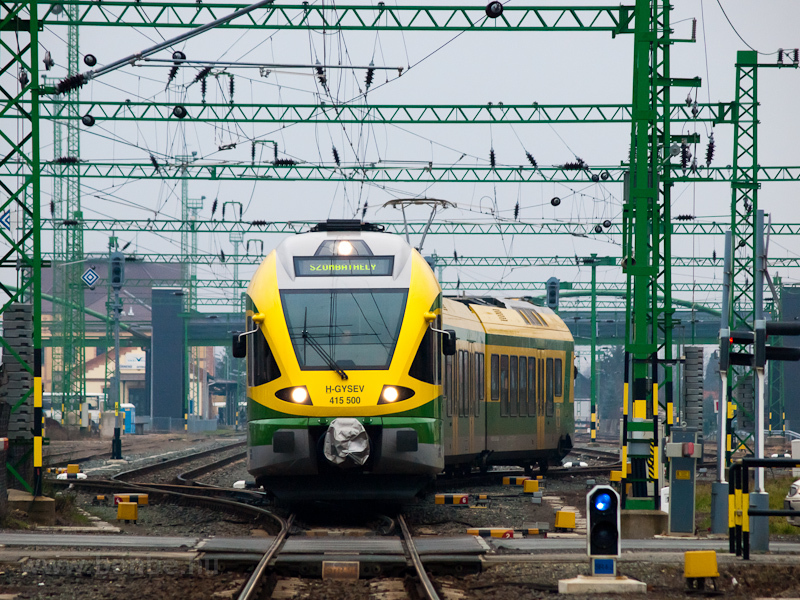 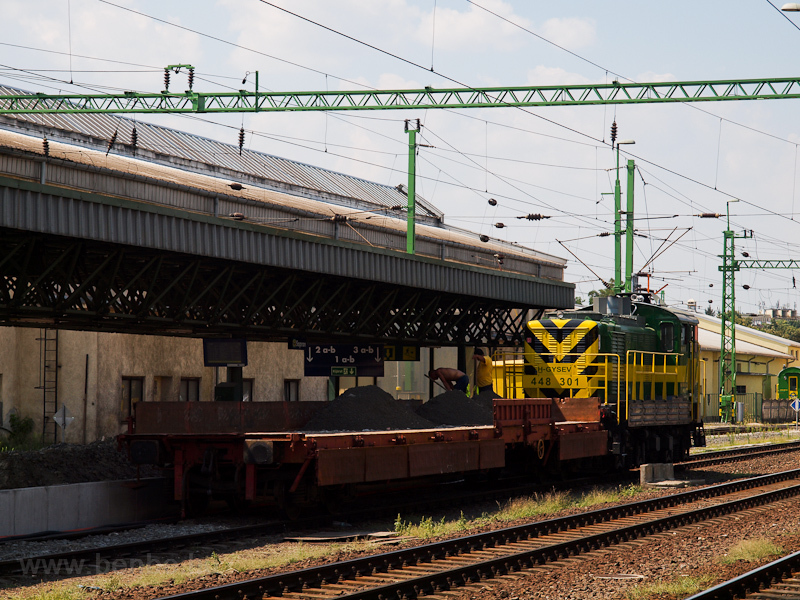 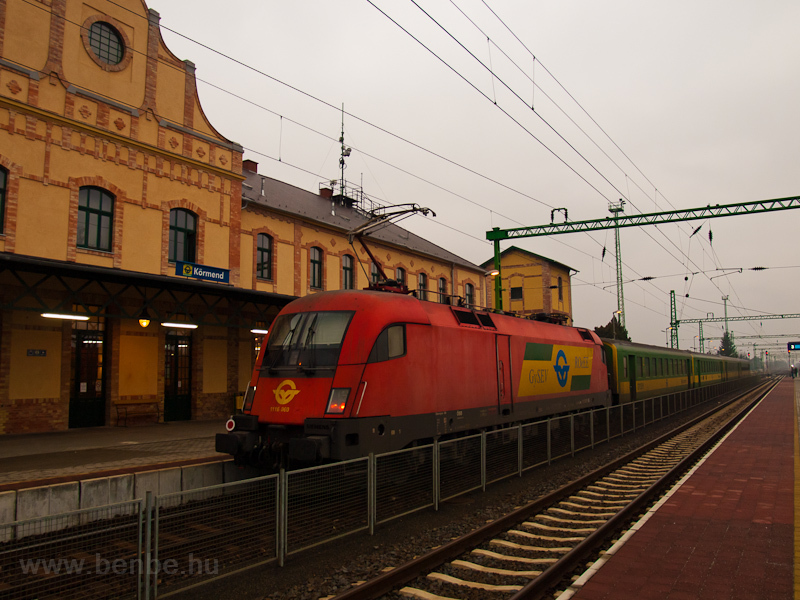 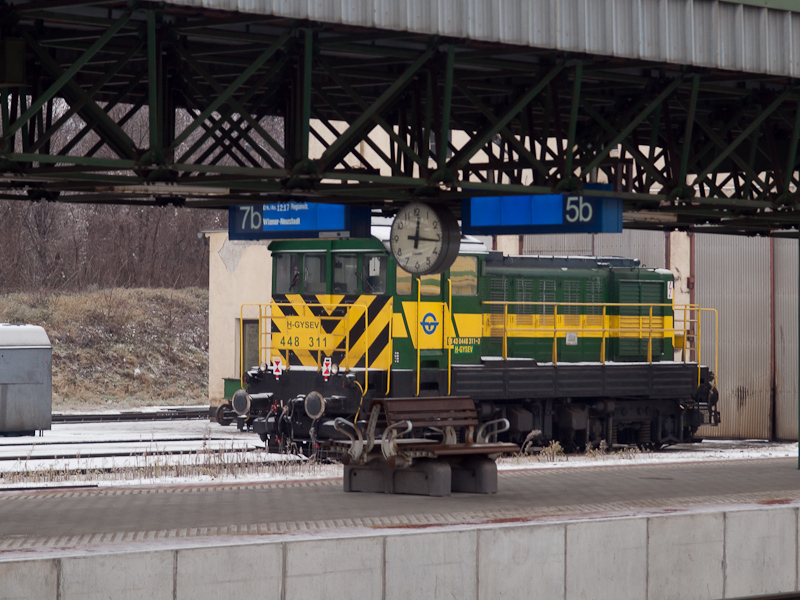 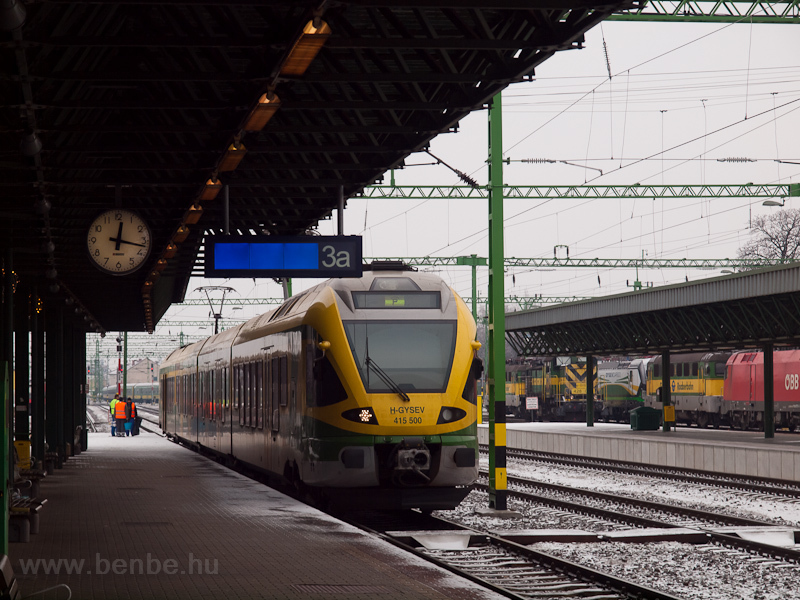 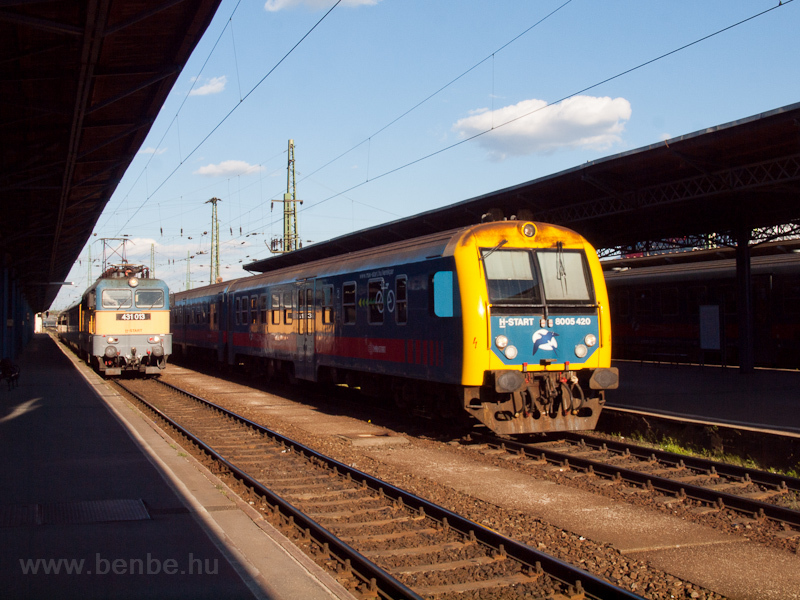 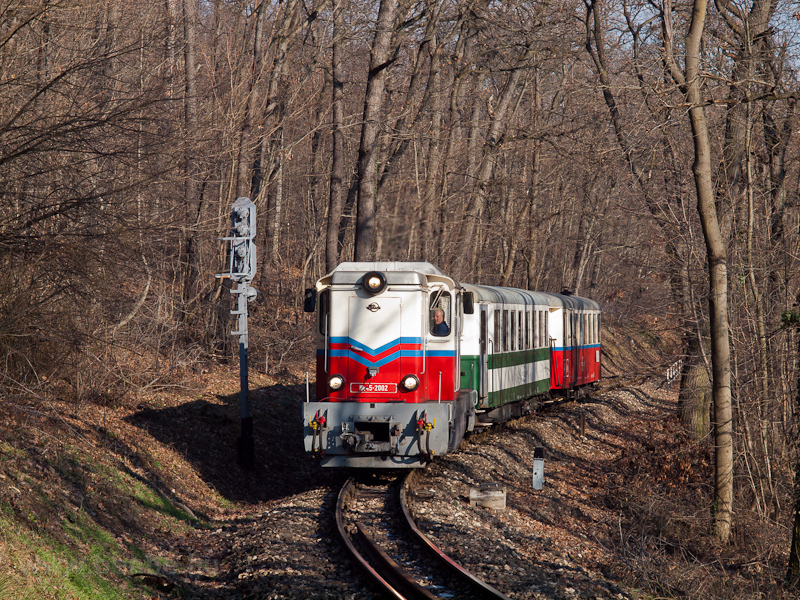 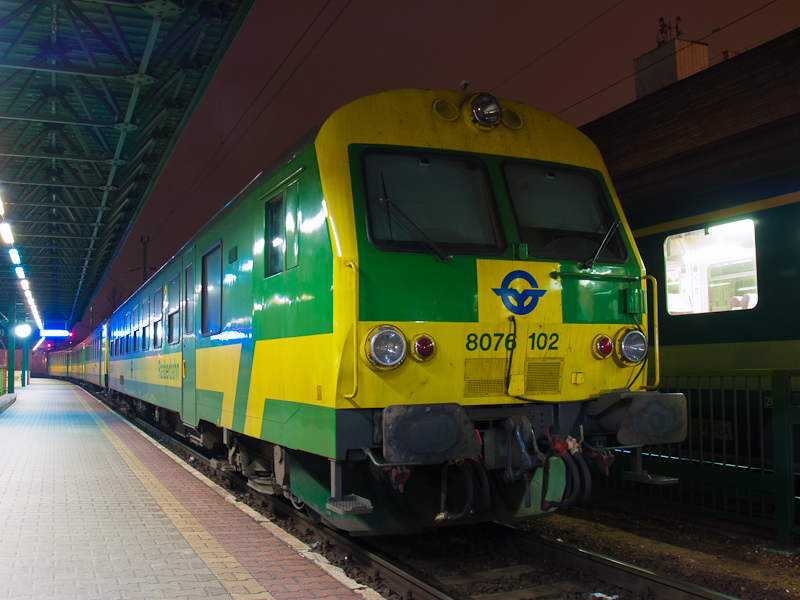 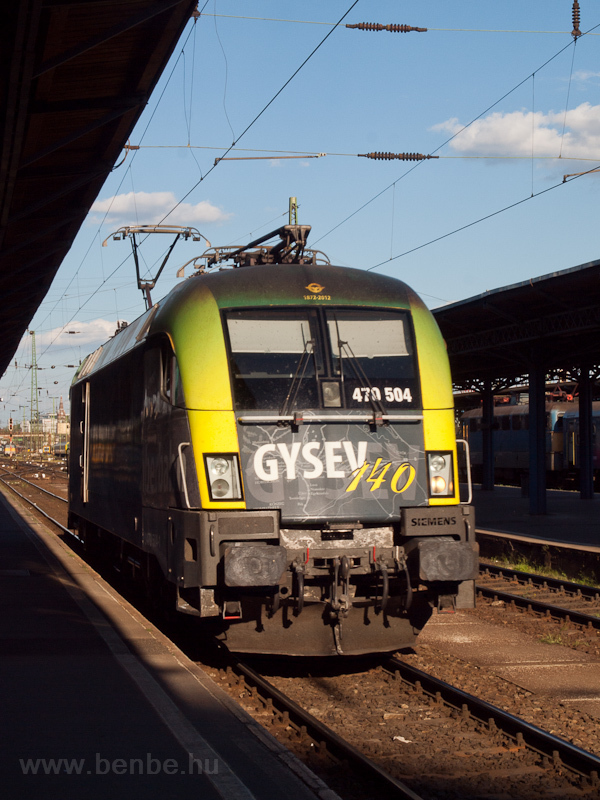 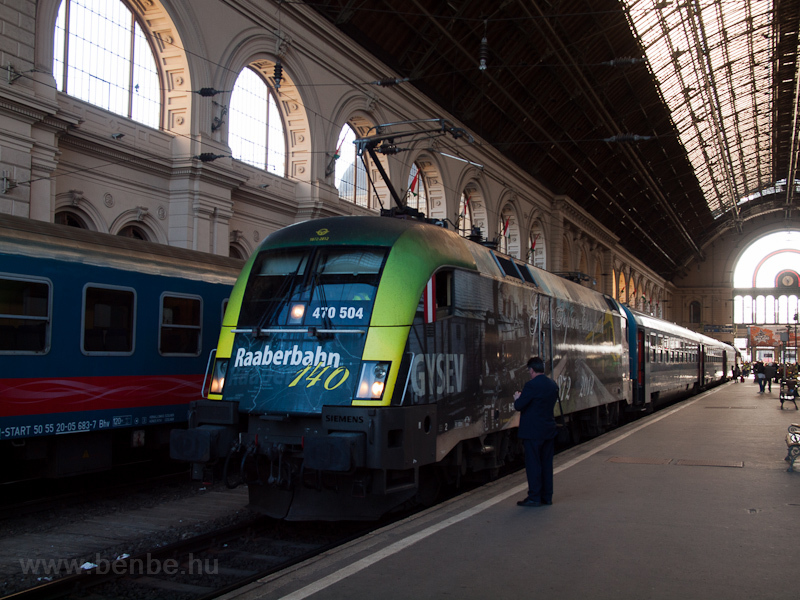 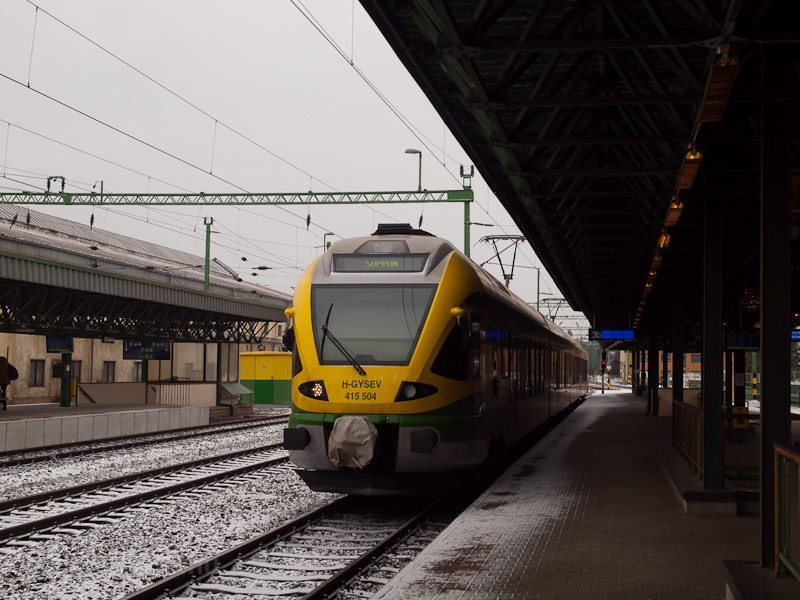 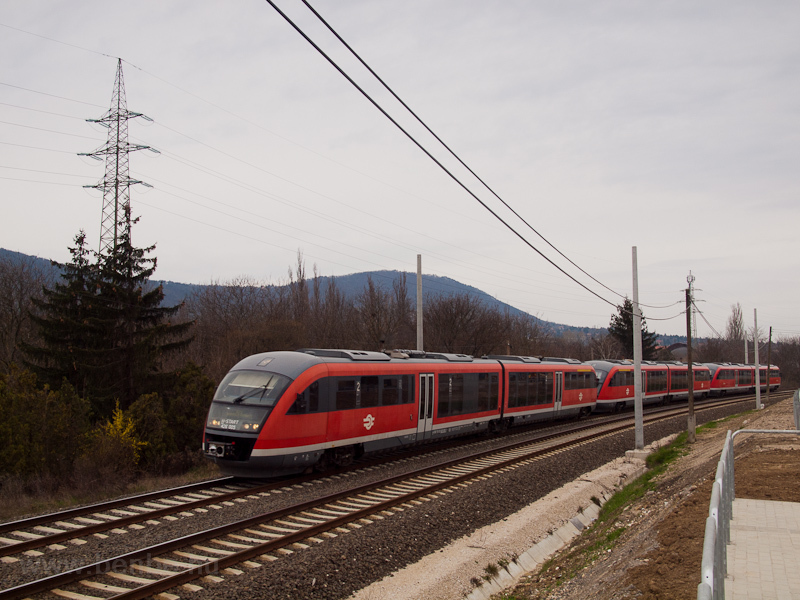 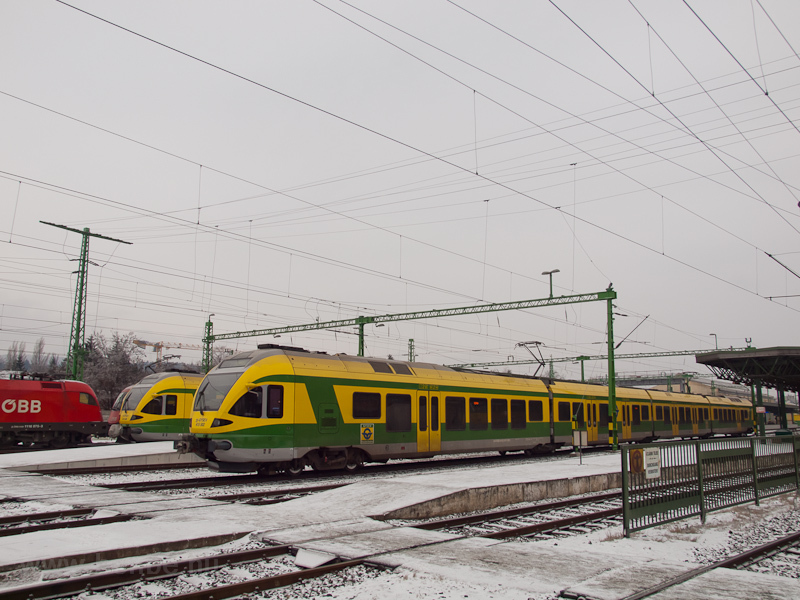 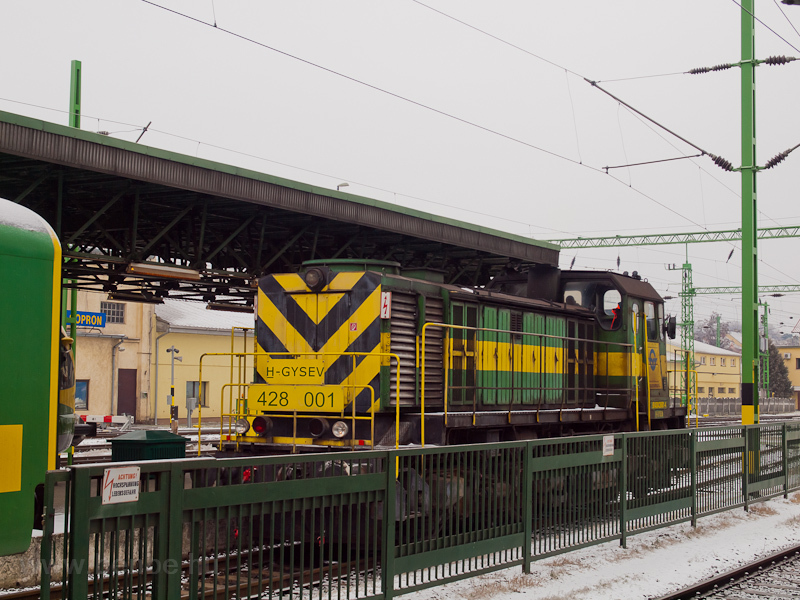 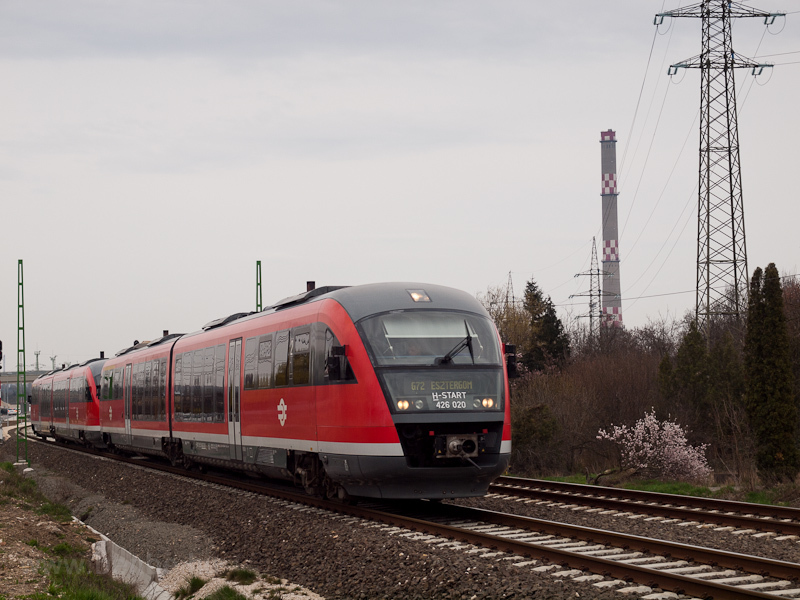 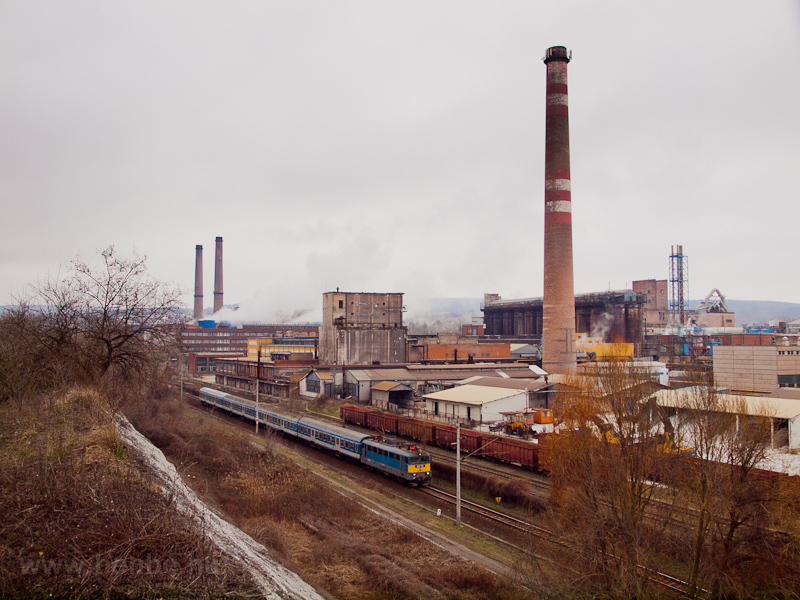 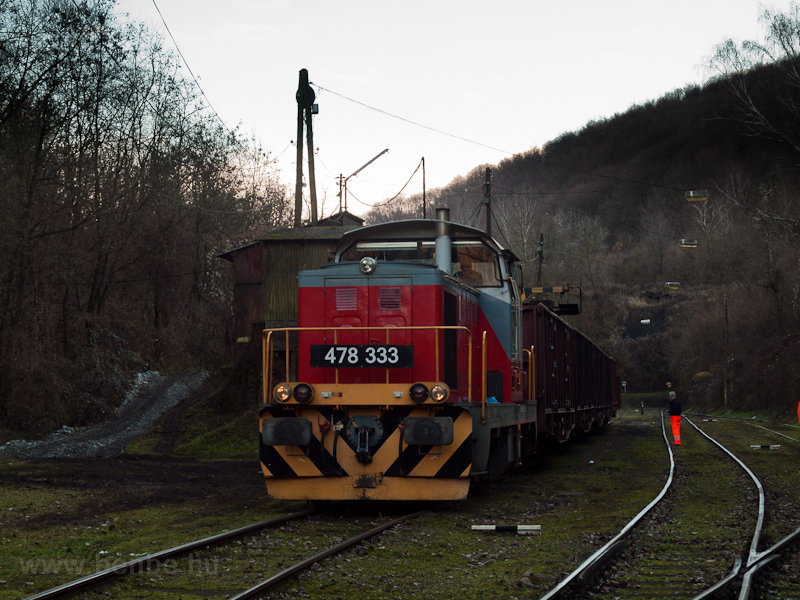 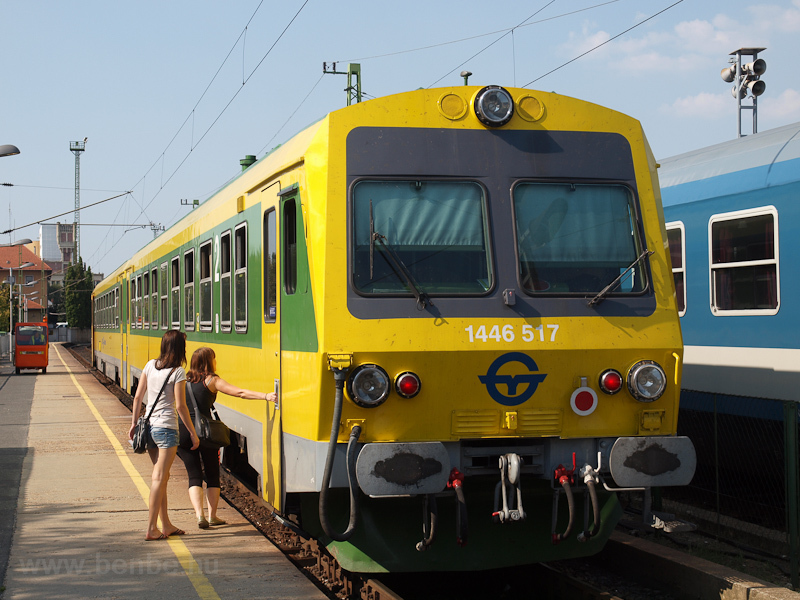 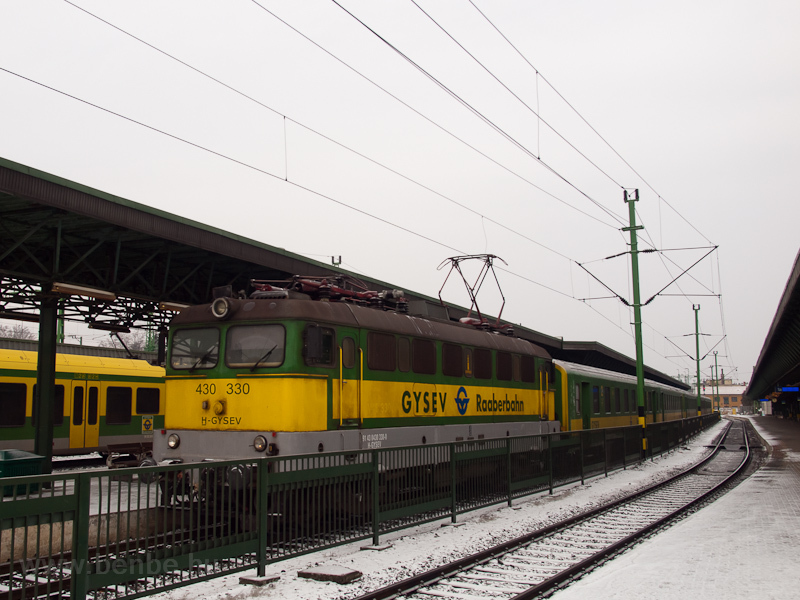 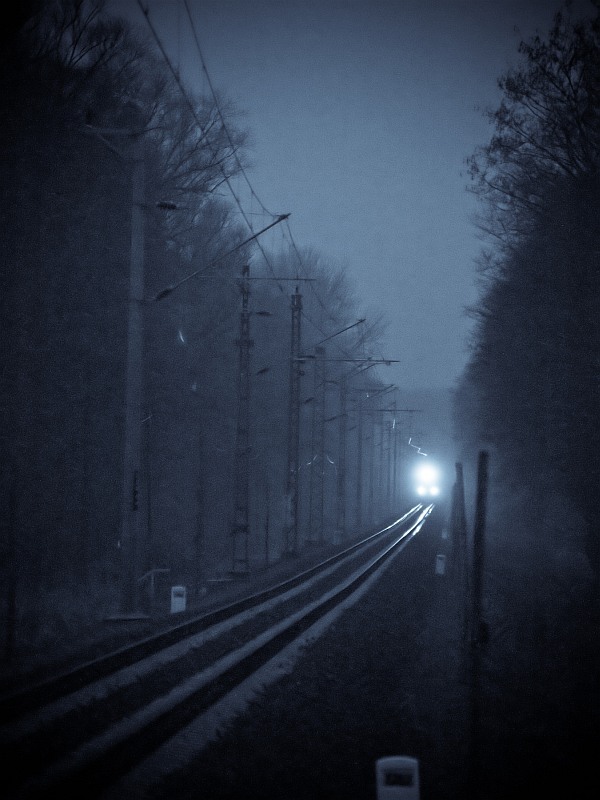 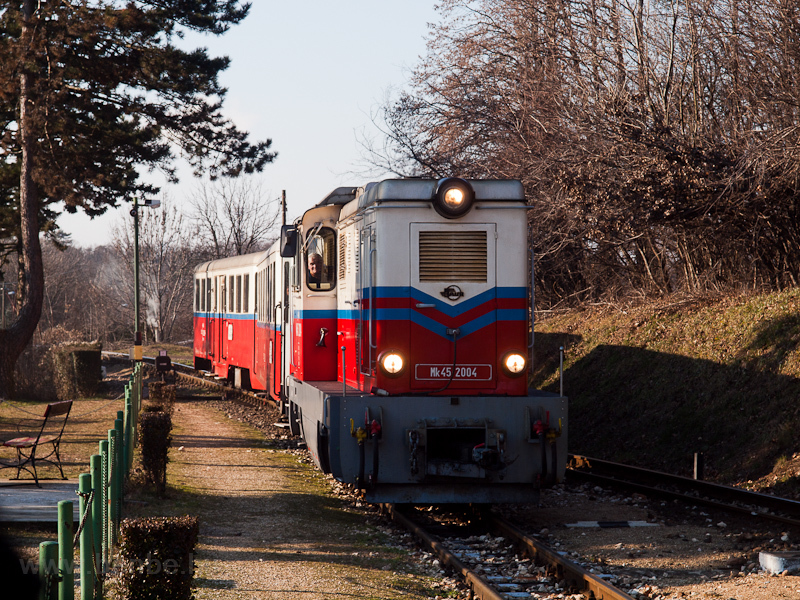 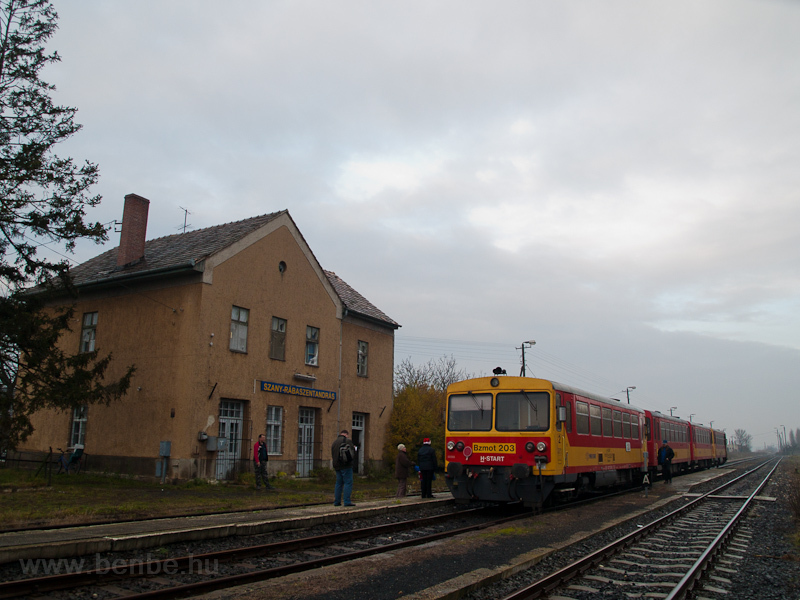 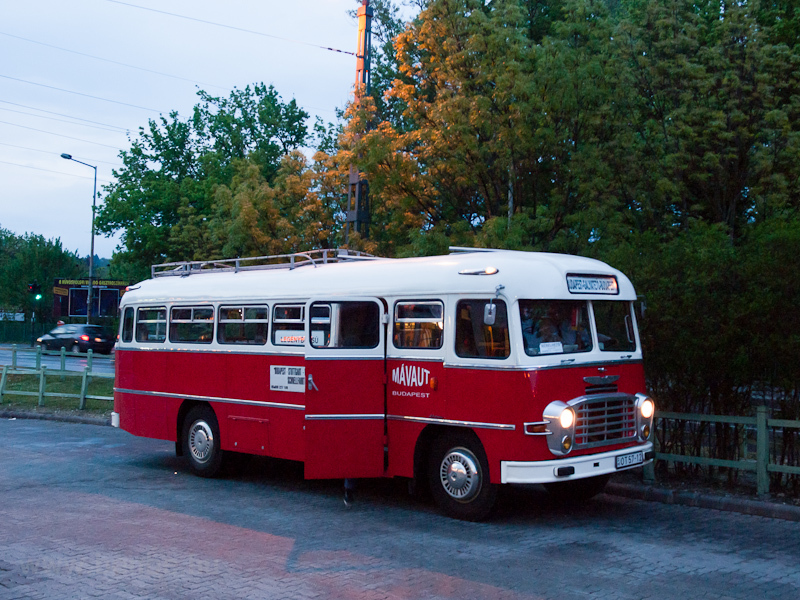 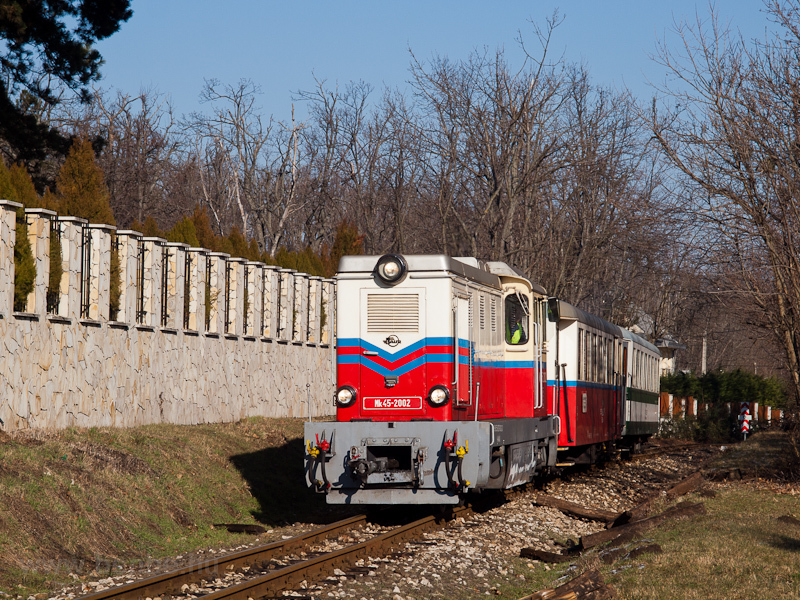 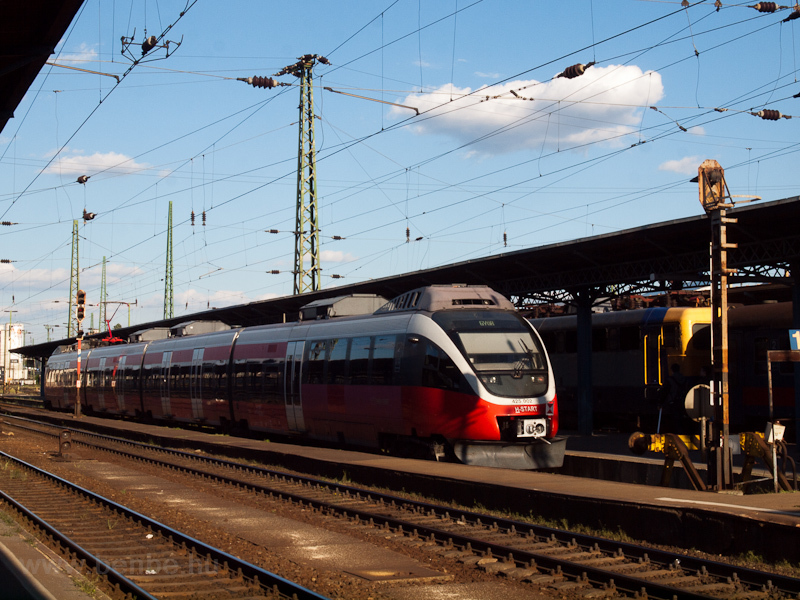 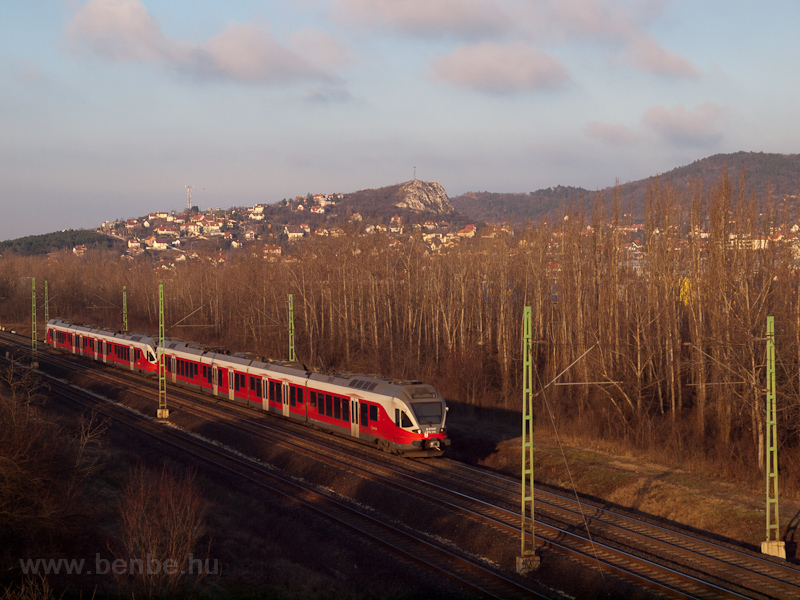 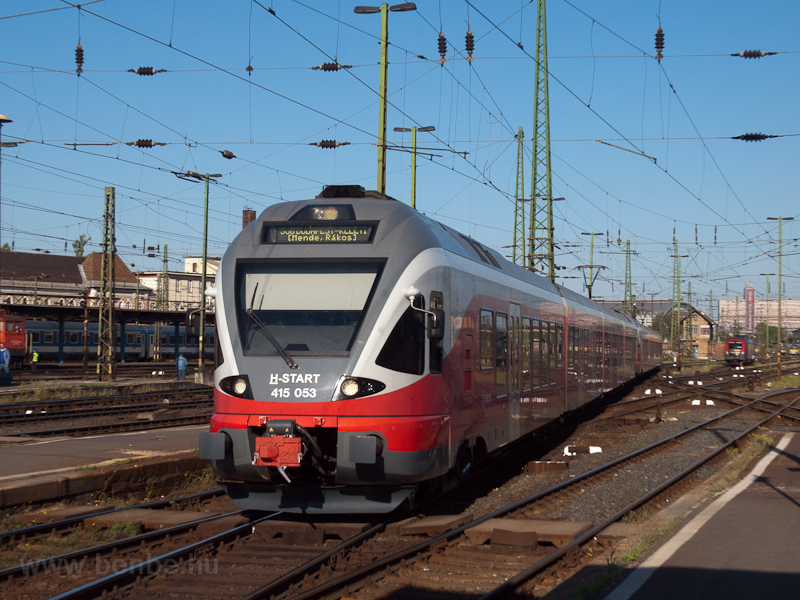 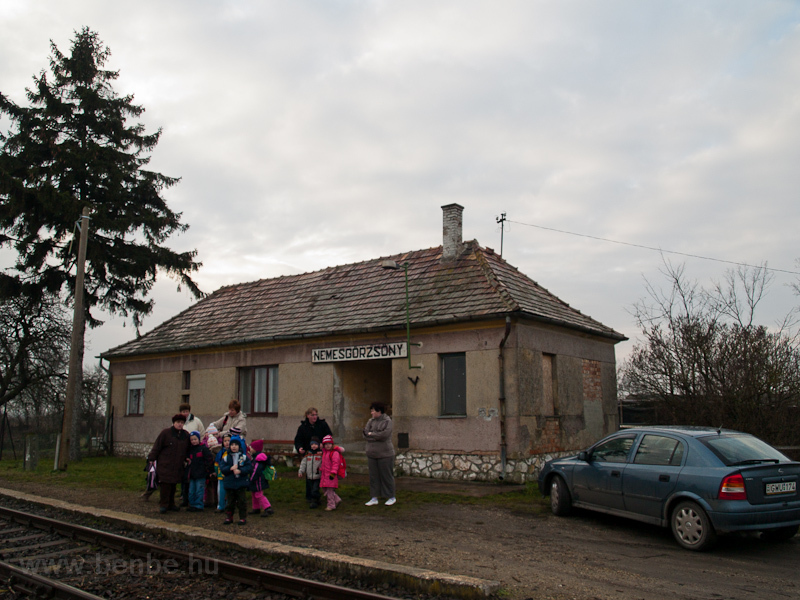 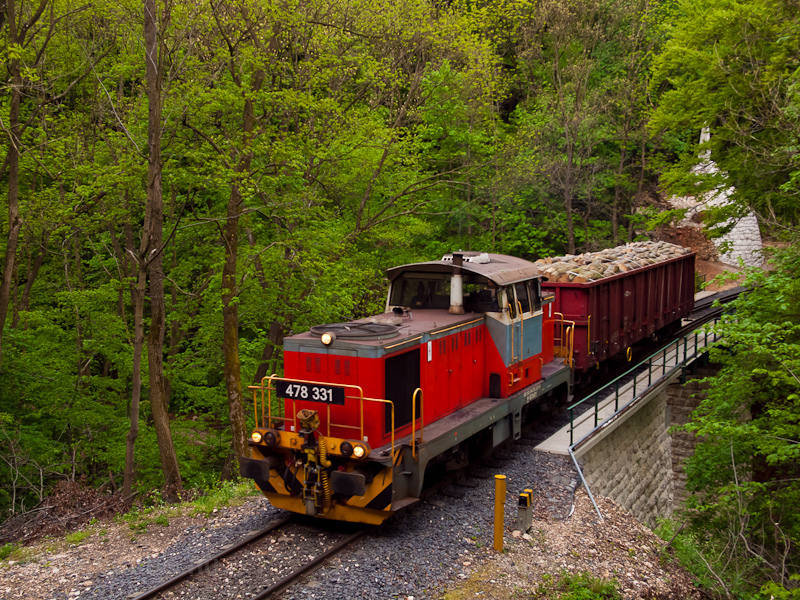 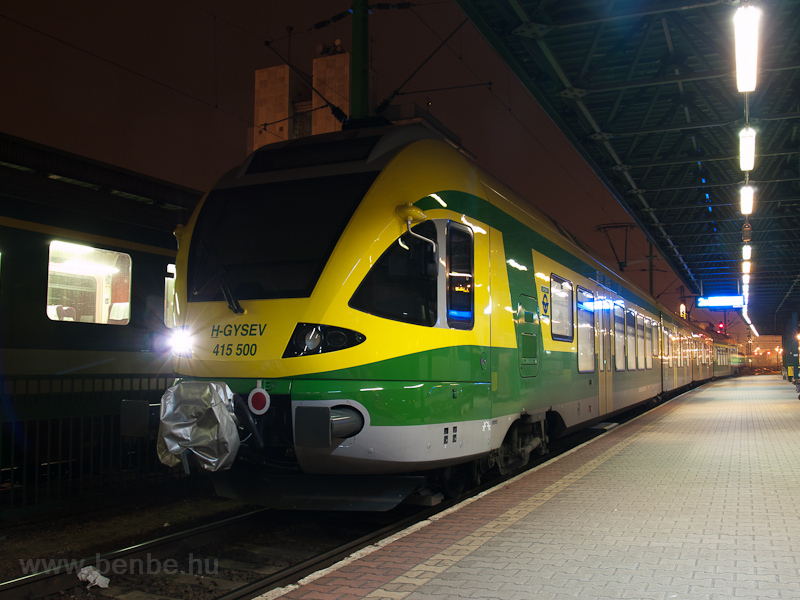 The pupils disembarked at Vinye and went hiking, but the train couldn't return to Bakonyszentlászló as reversing is only allowed at stations, and not at stops. 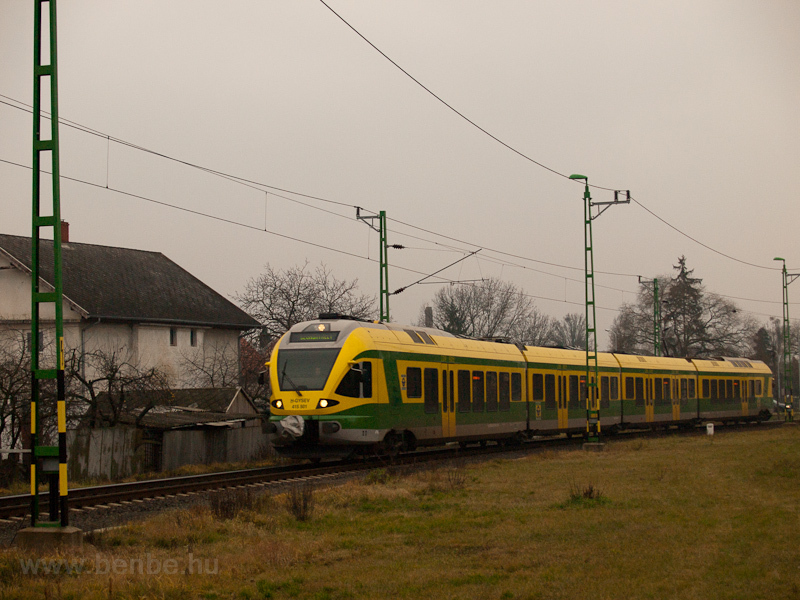 Therefore it had to proceed to the much further Zirc station, allowing for the capture of this photo. 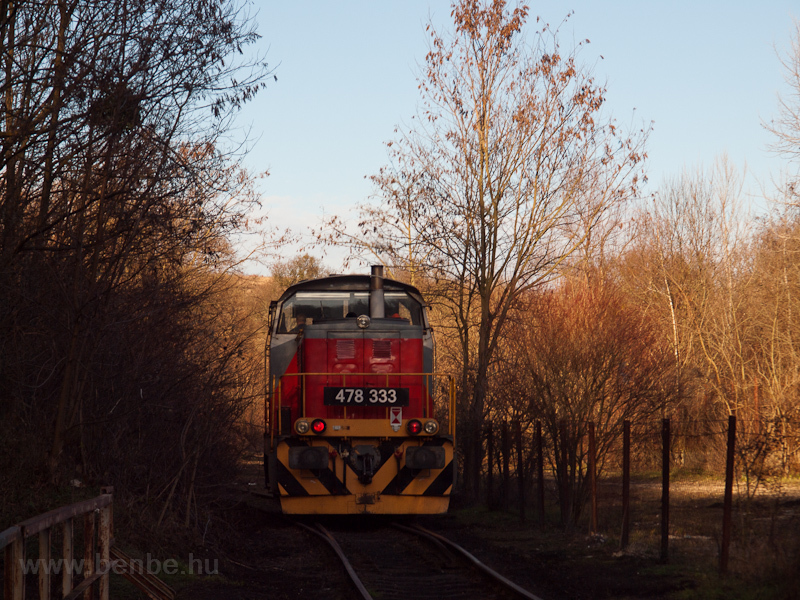 Now the area is a lot more covered with foliage so it cannot be repeated, but a picture is possible from the other side of the tracks. 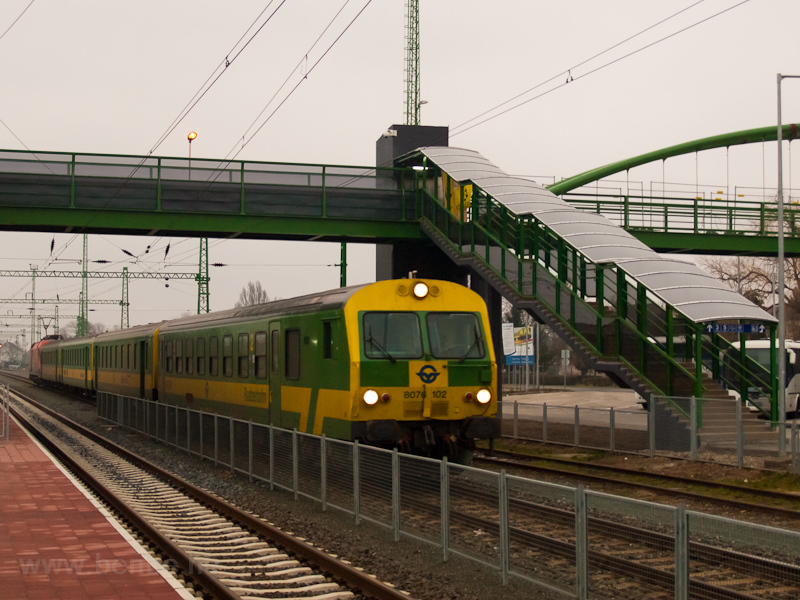 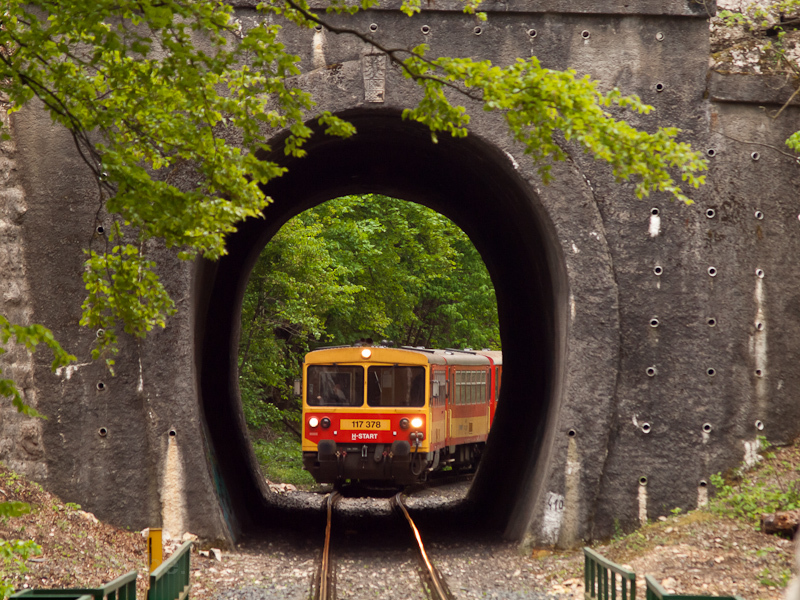 The viadukt was named in 2011 to honour the constructor of the railway. 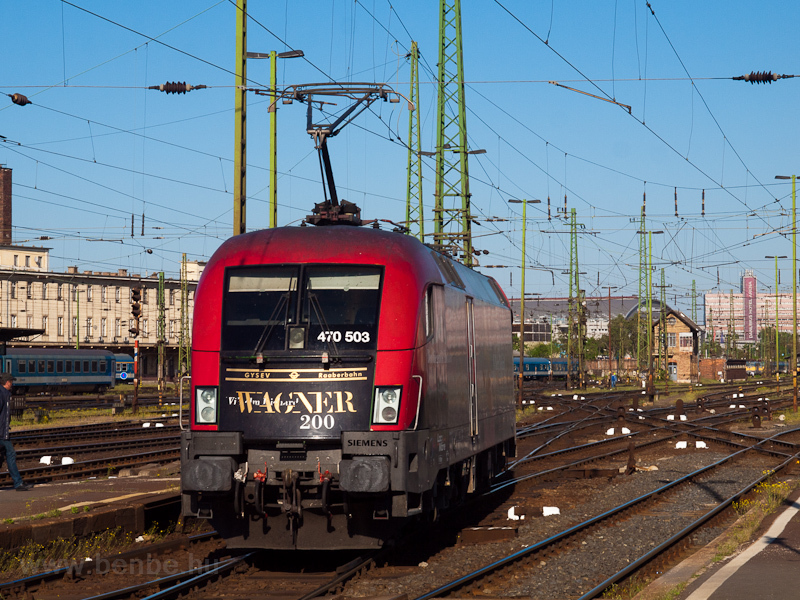 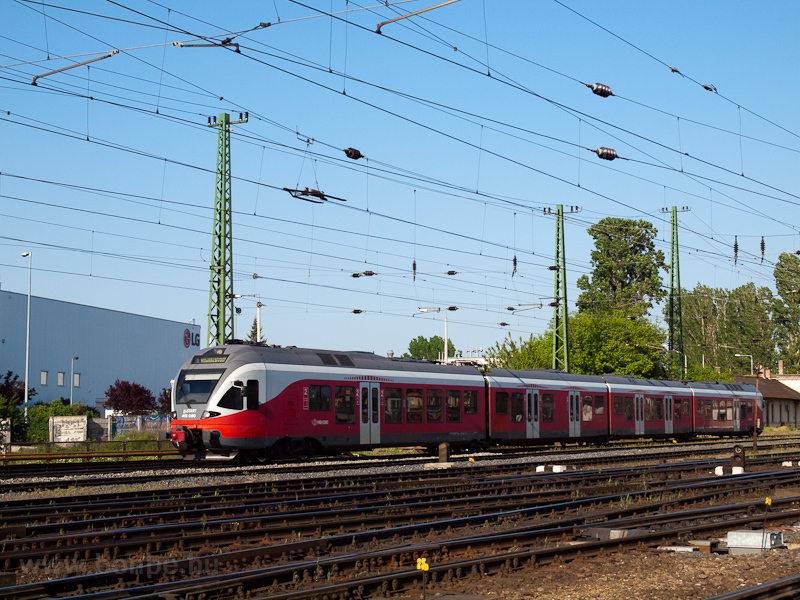 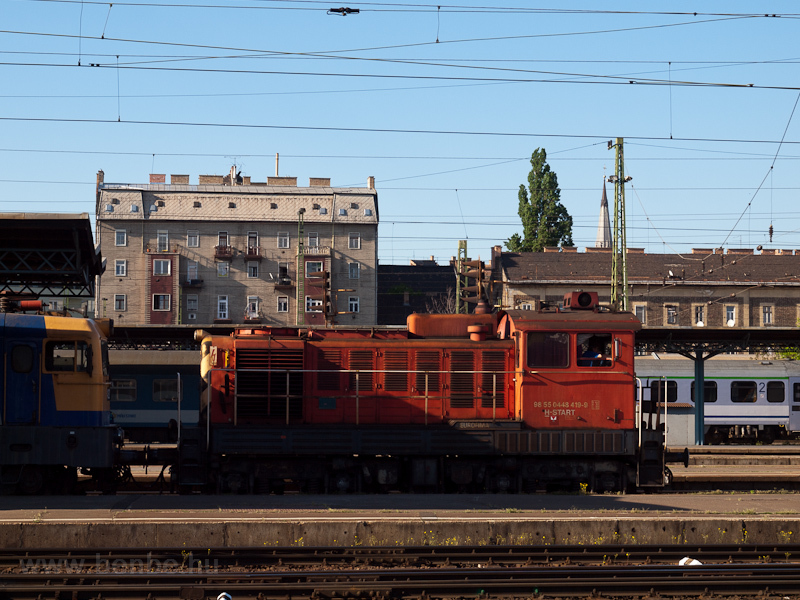 Just like with the Halberstadt trailers the control elements have been removed so these cannot be used in push-pull trains. 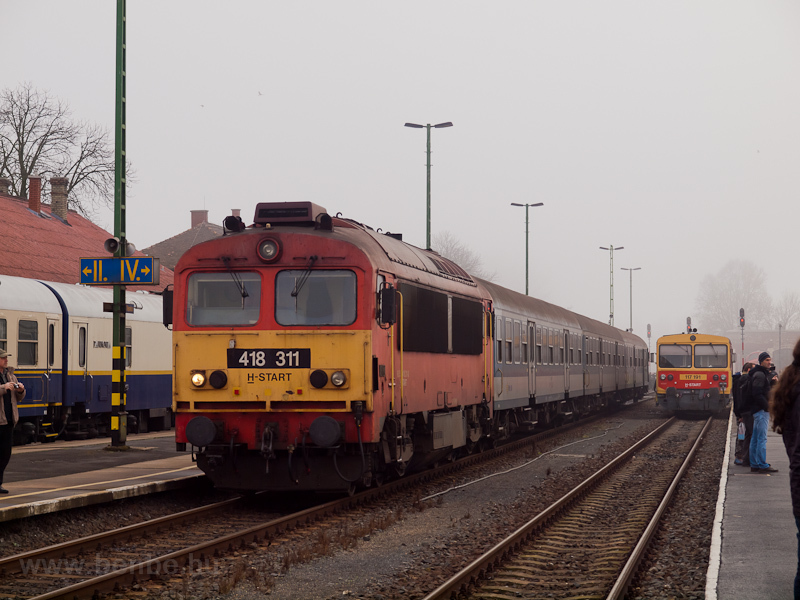 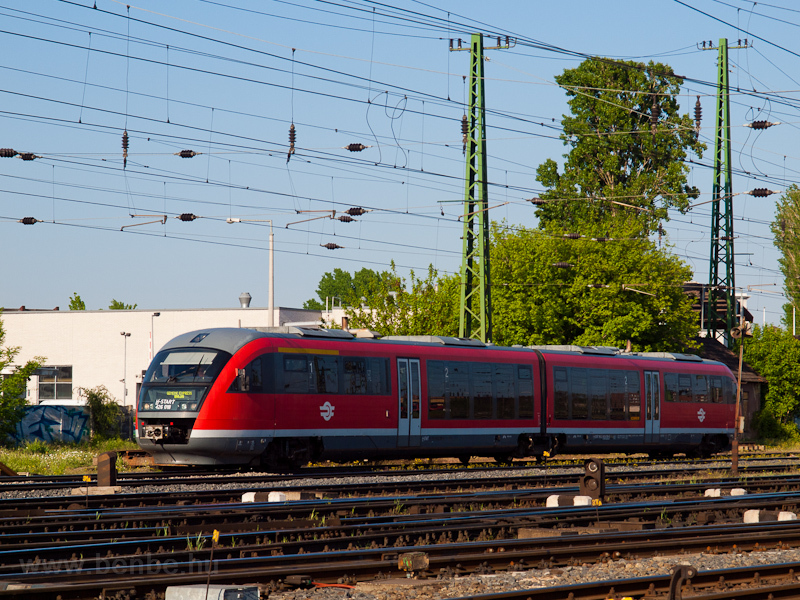 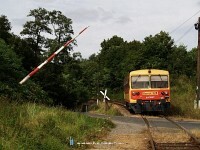 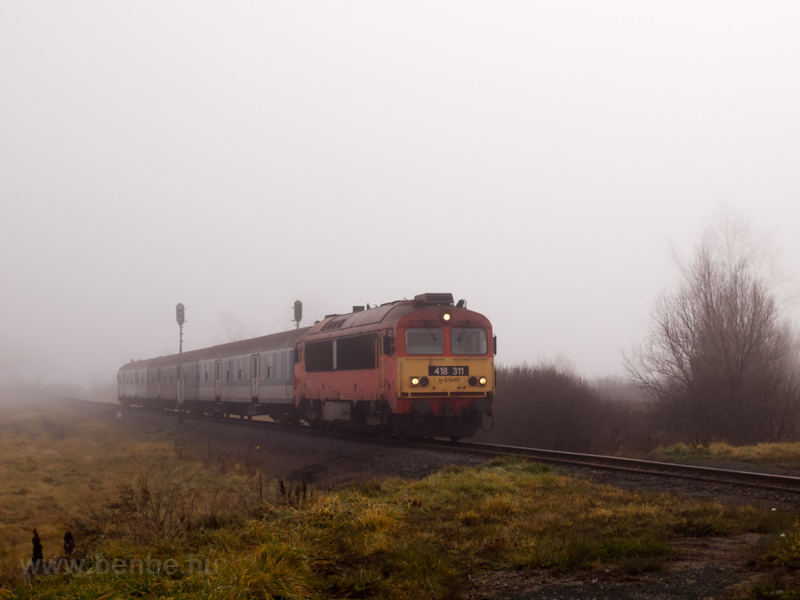 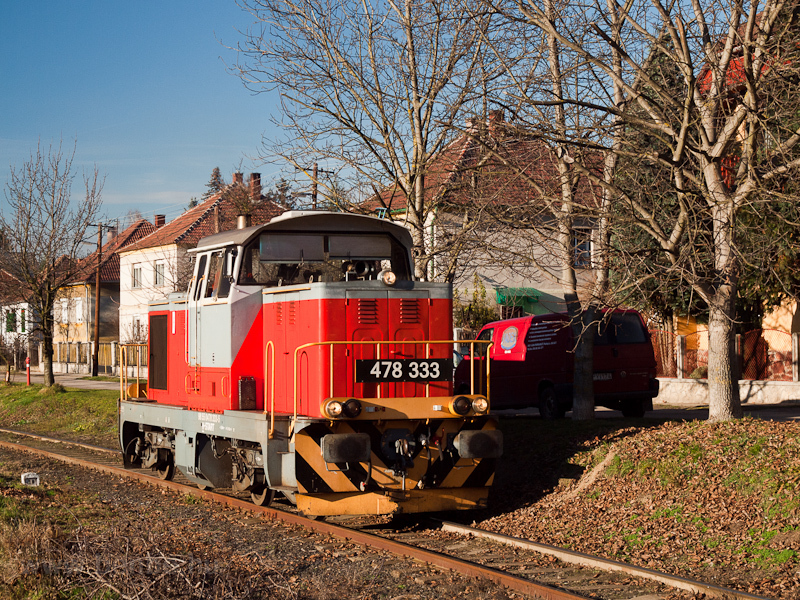 Halberstadter cars now are capable of doing that again (compatible with classes 433, 470, 480), but are not permitted to run that way. 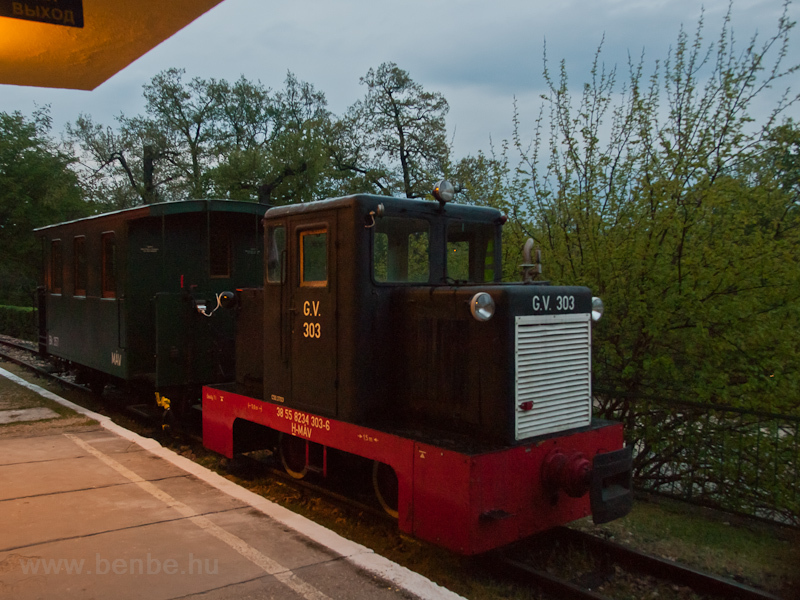 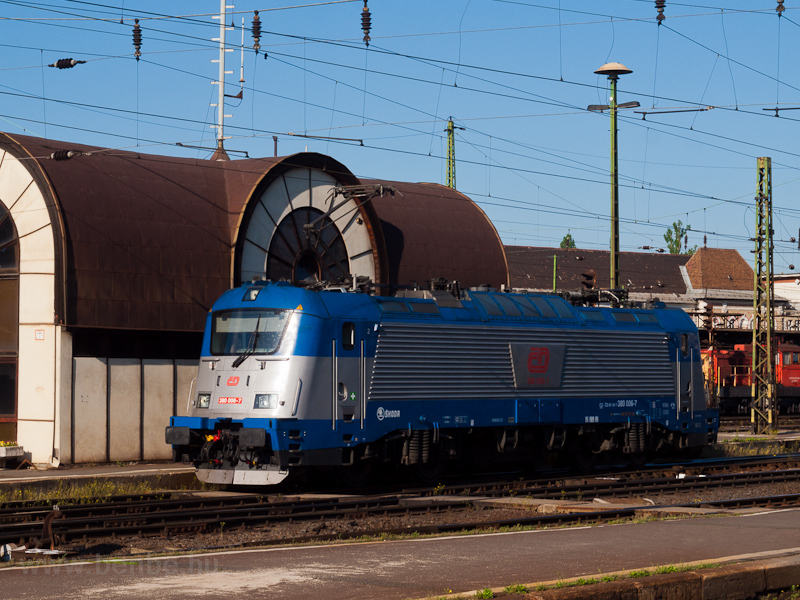 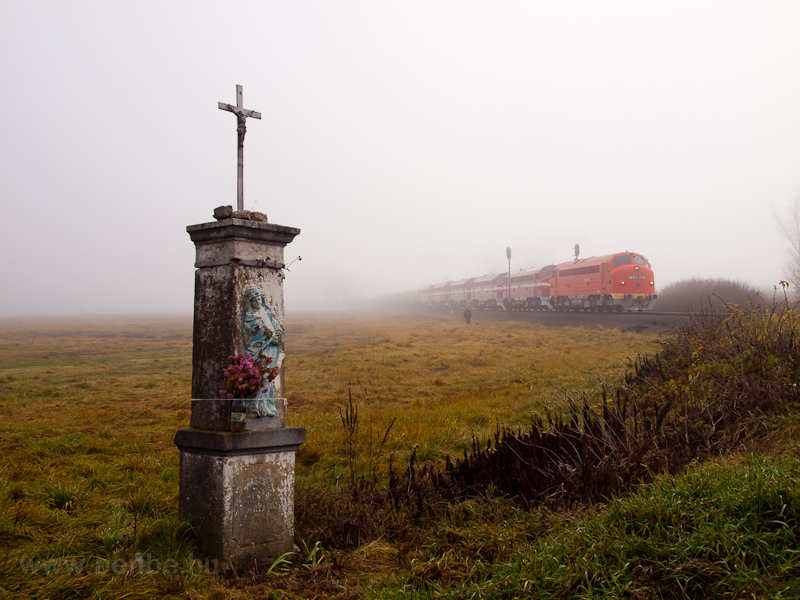 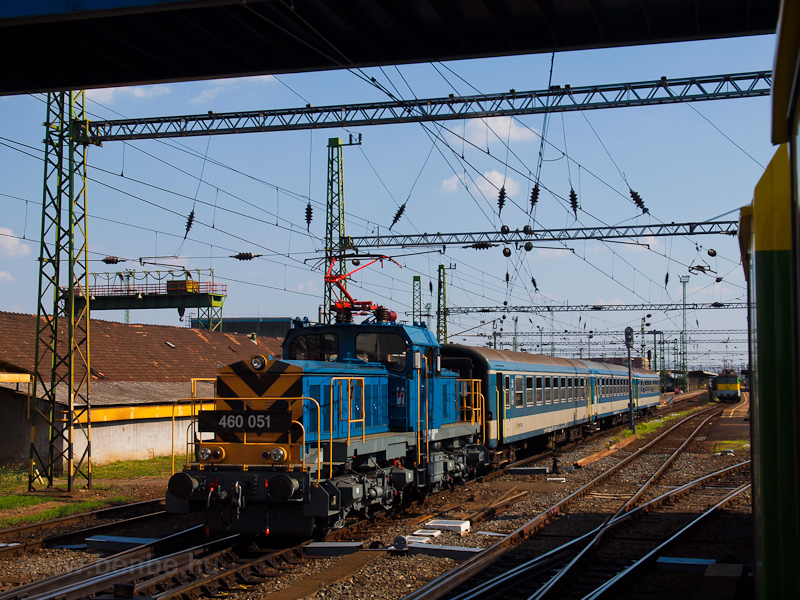 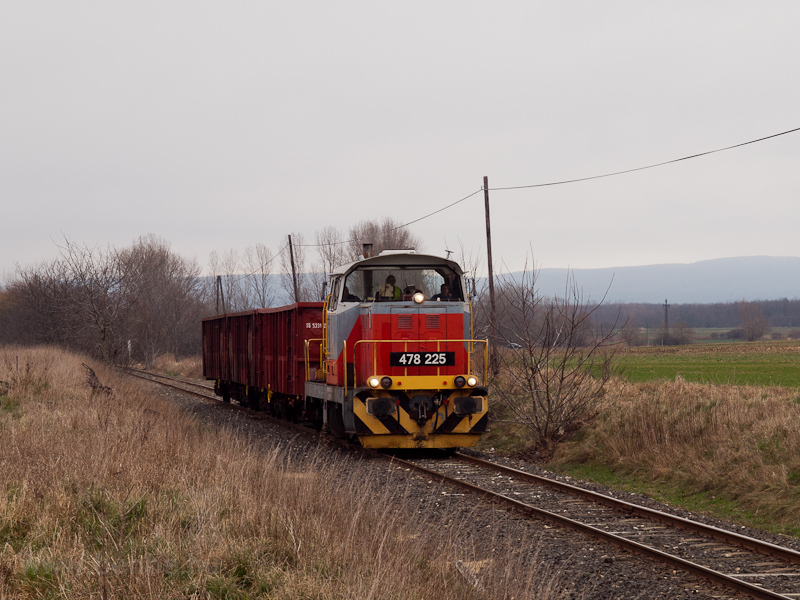 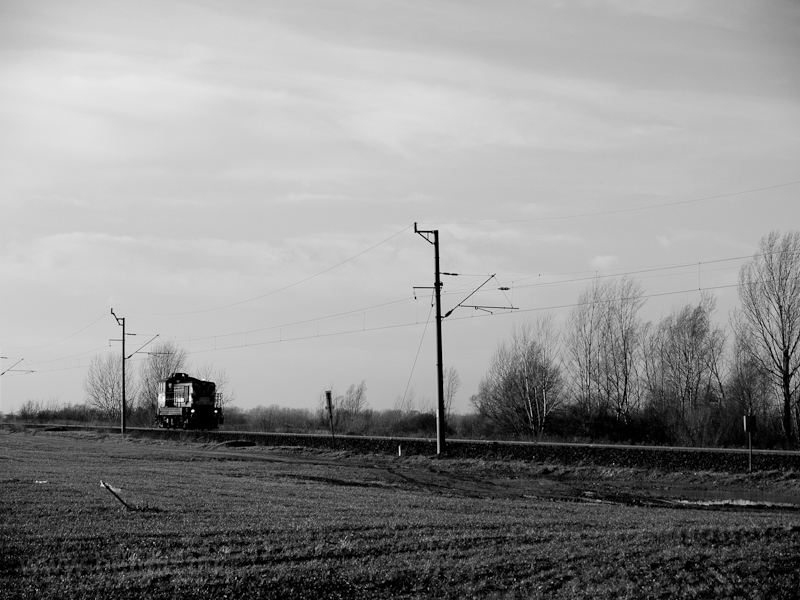 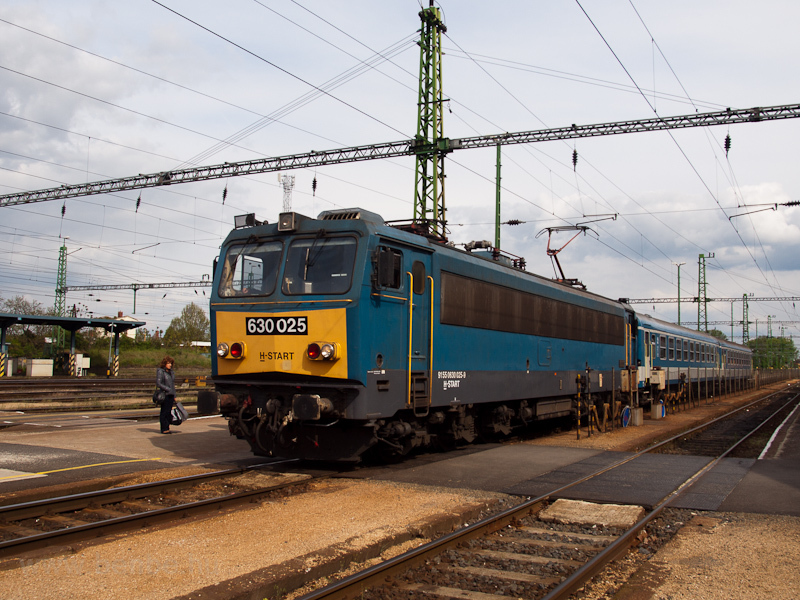 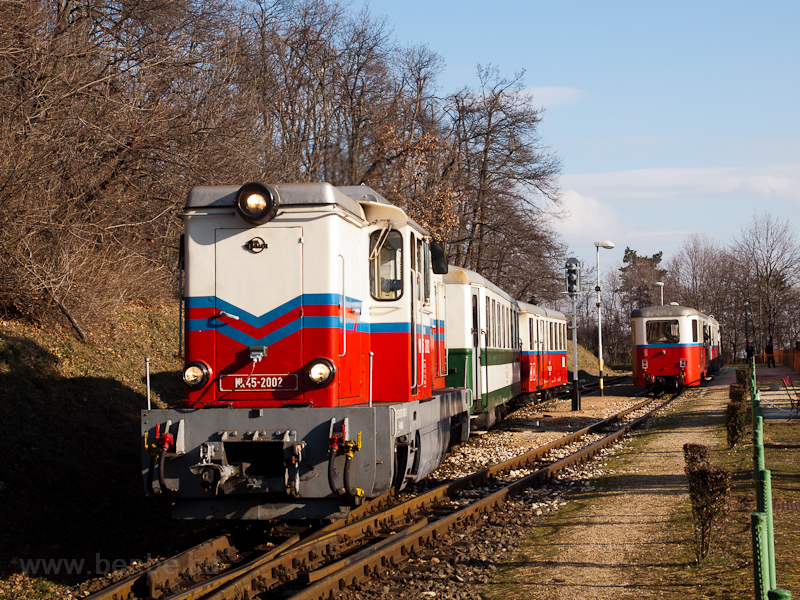 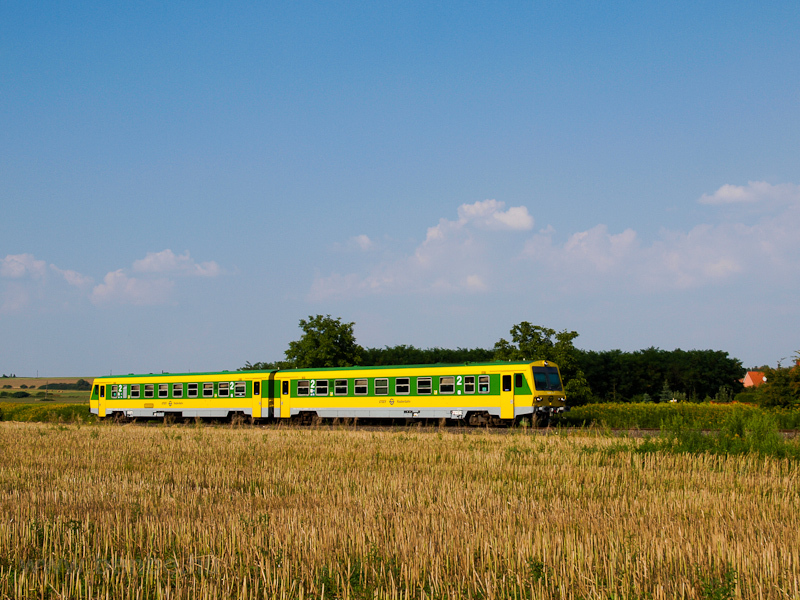 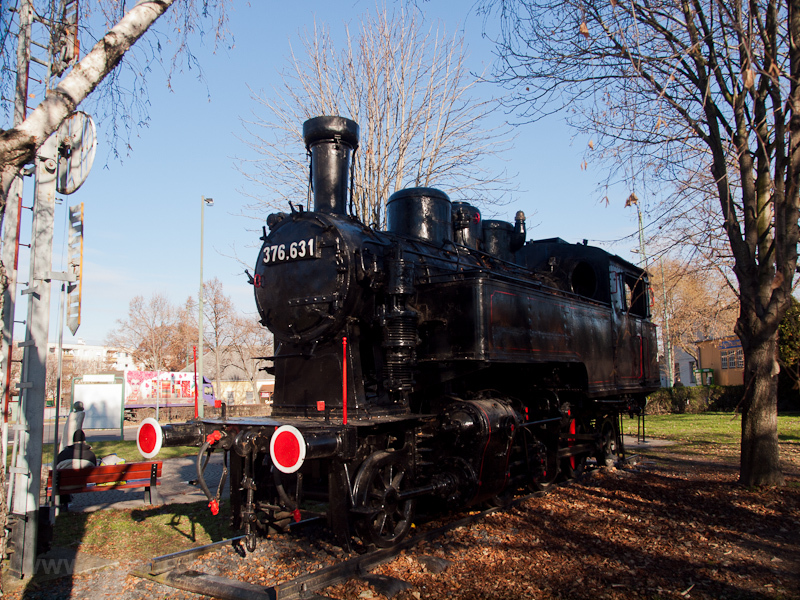 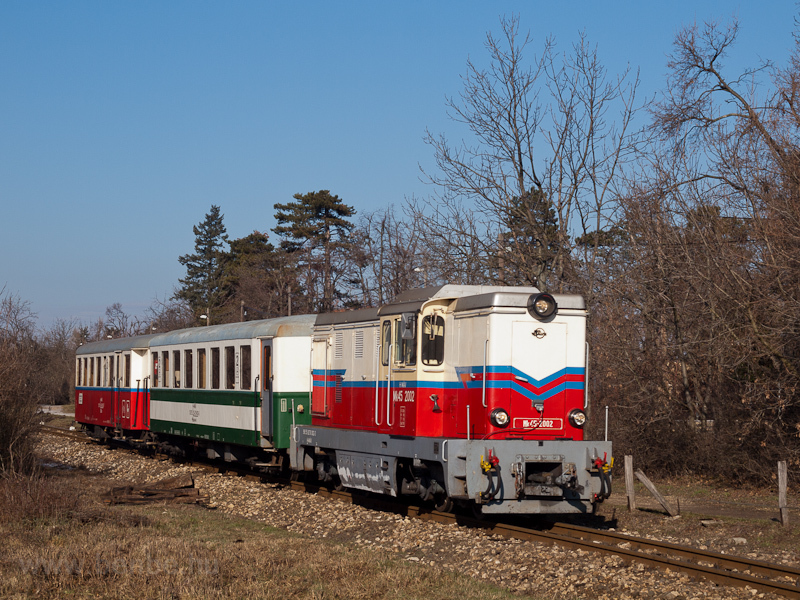 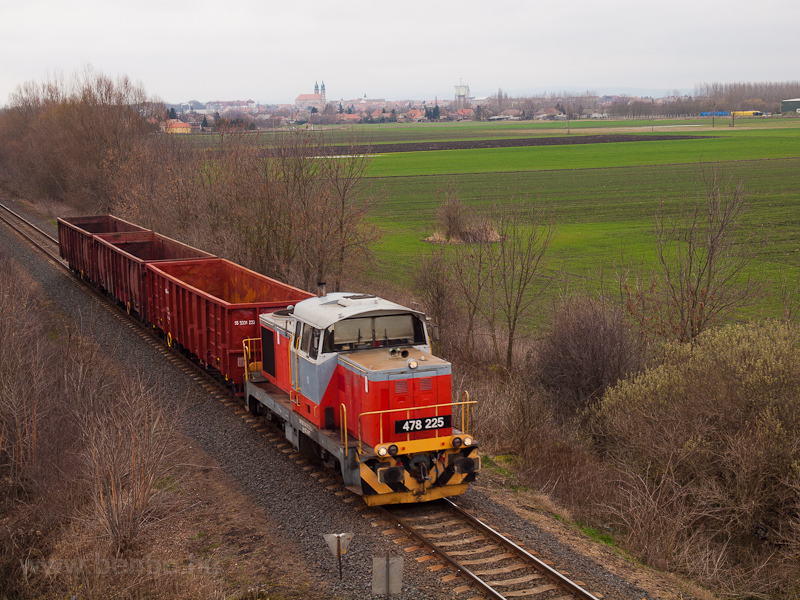 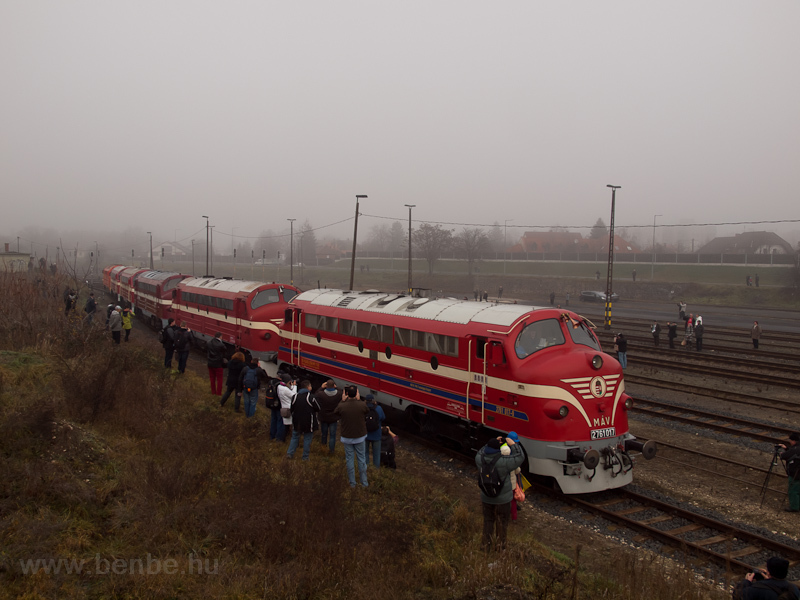 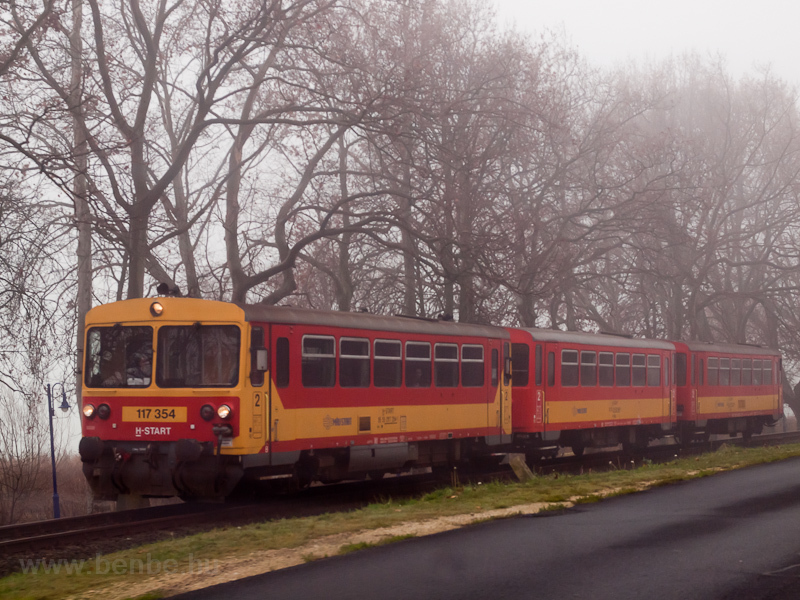 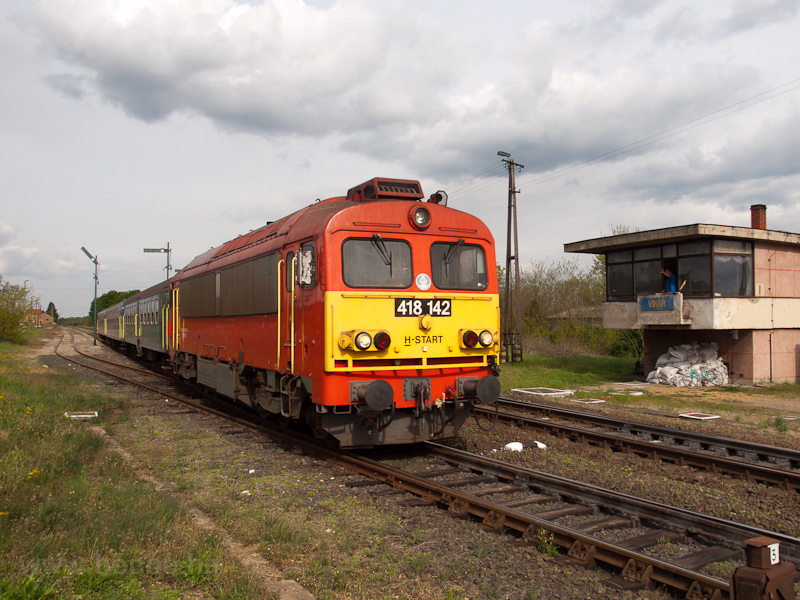 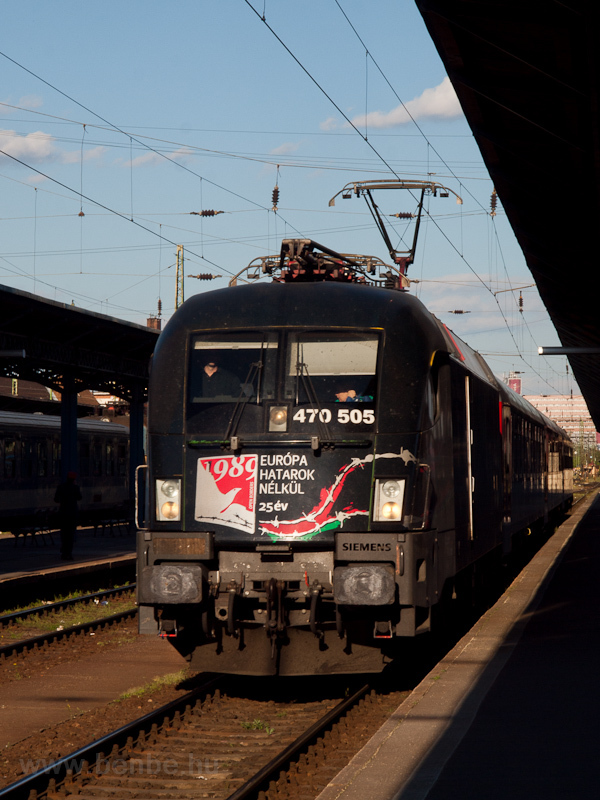 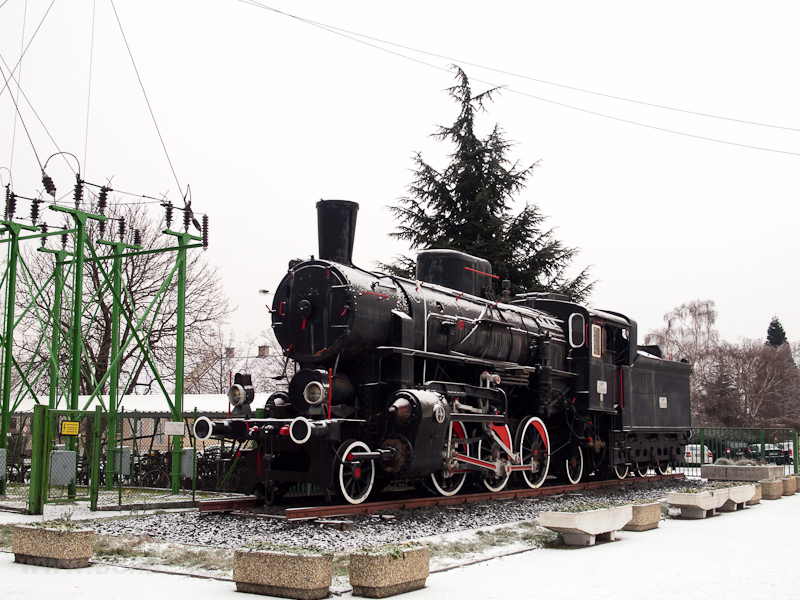 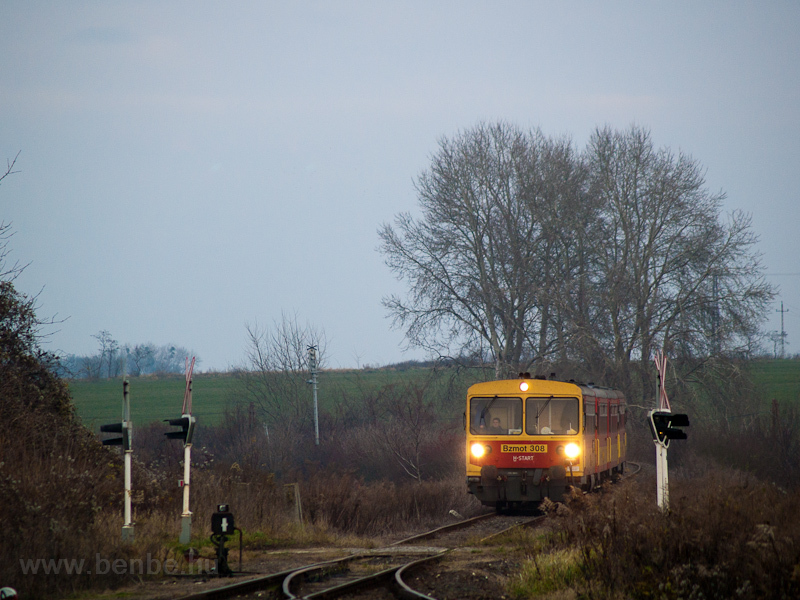 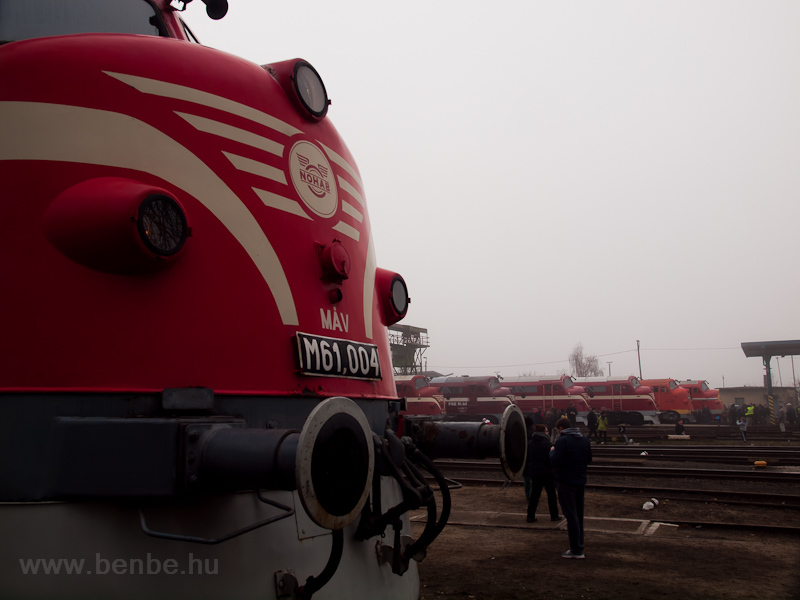 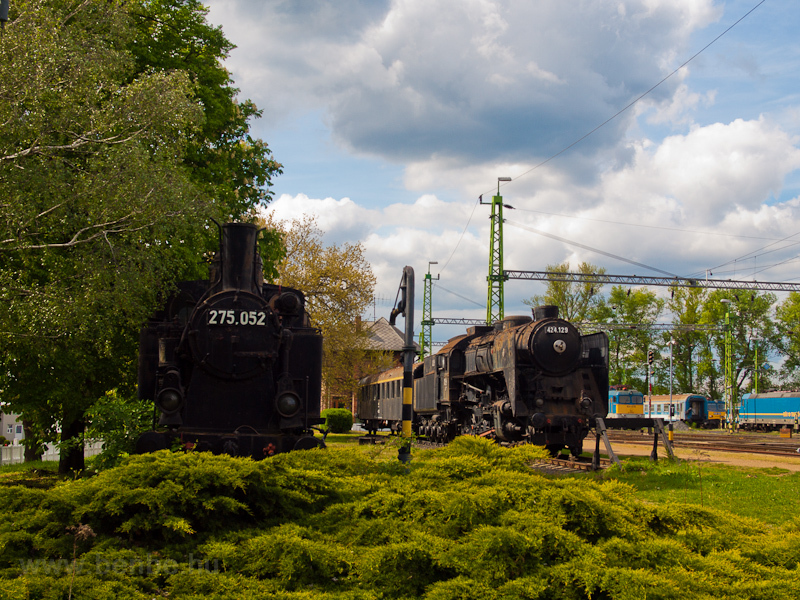 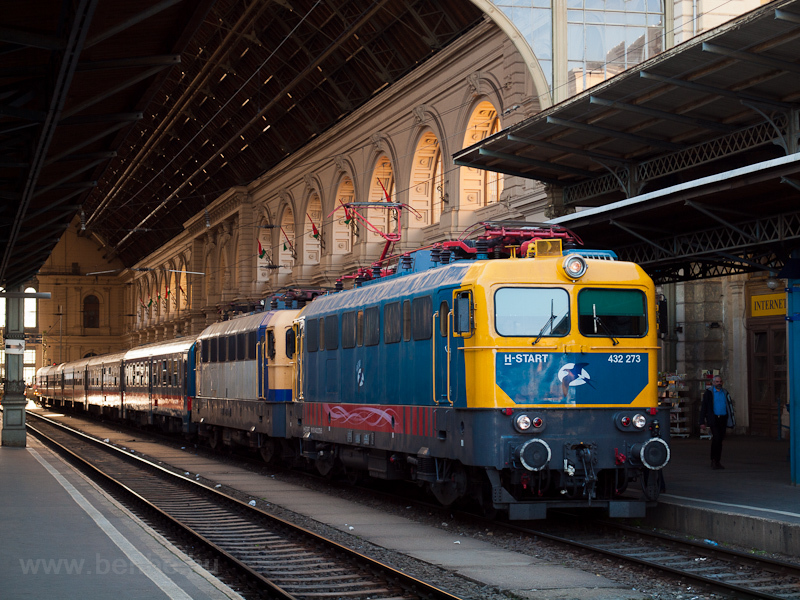 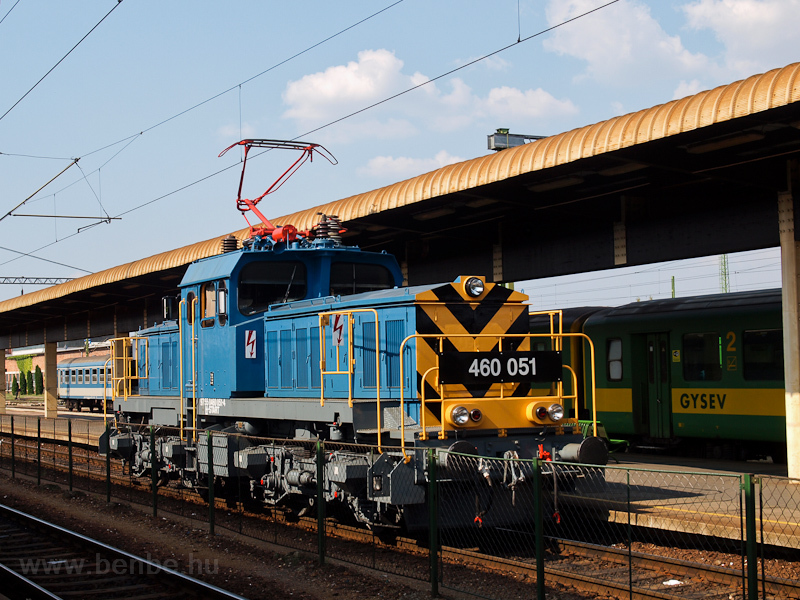 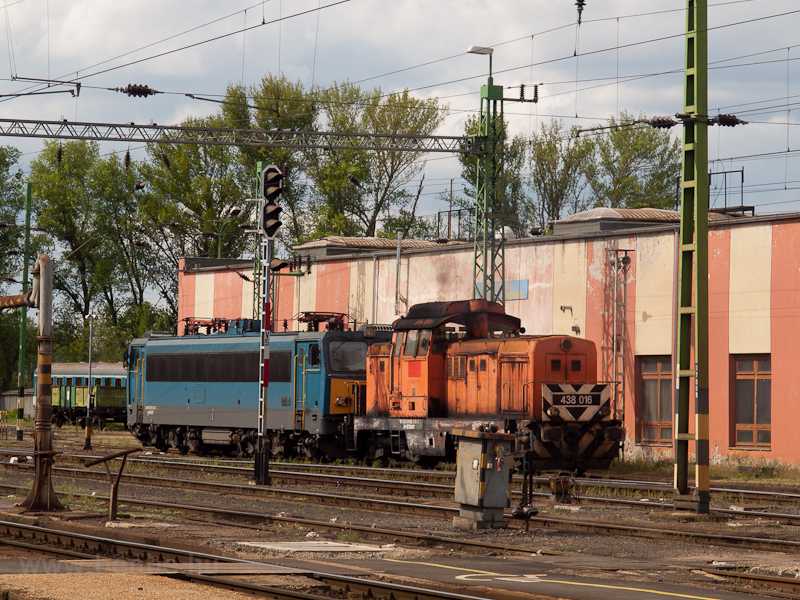 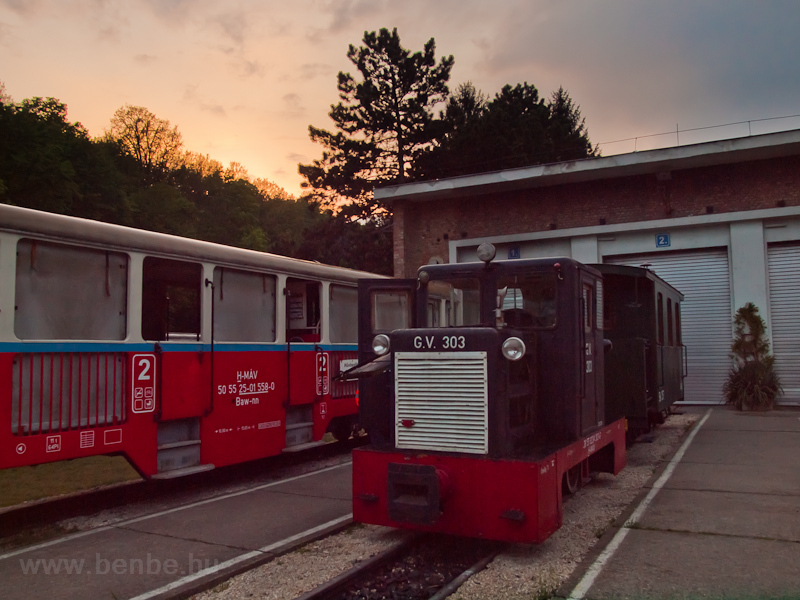 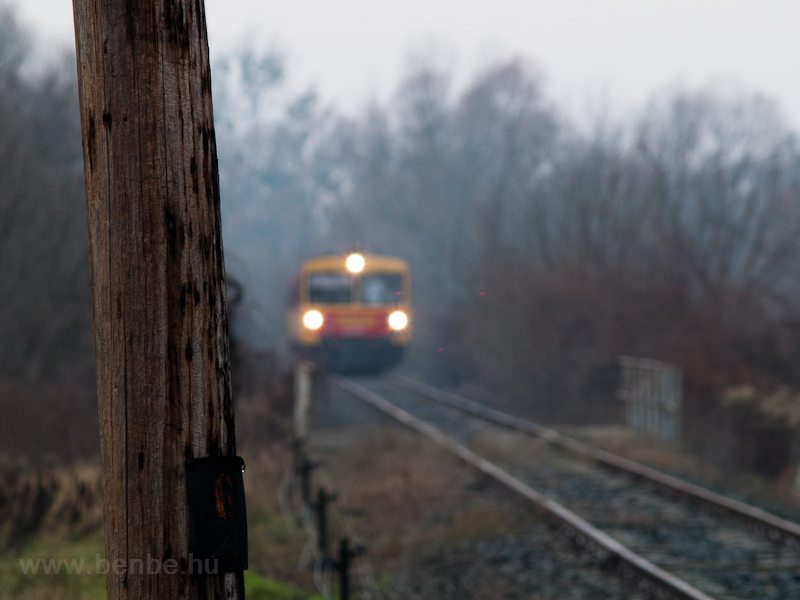 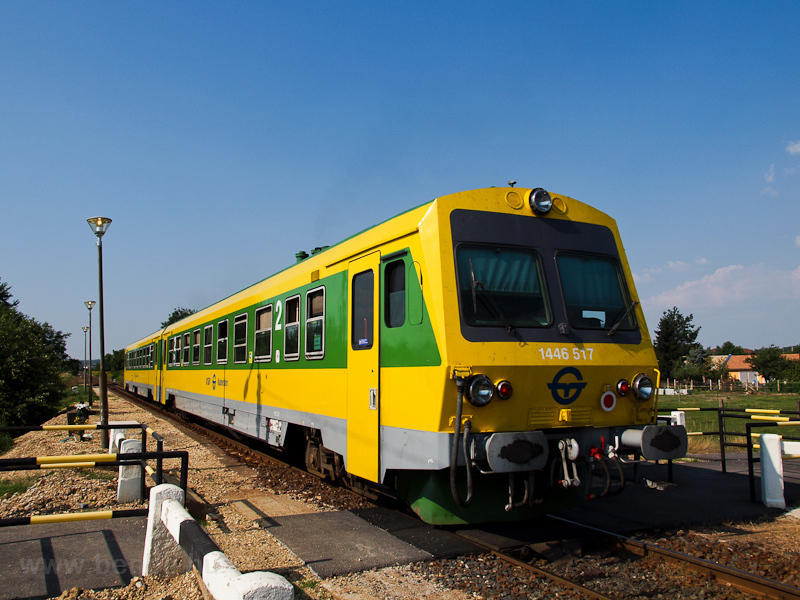 Hungary is getting very far away from its old self when push-pull trains were operated everywhere. 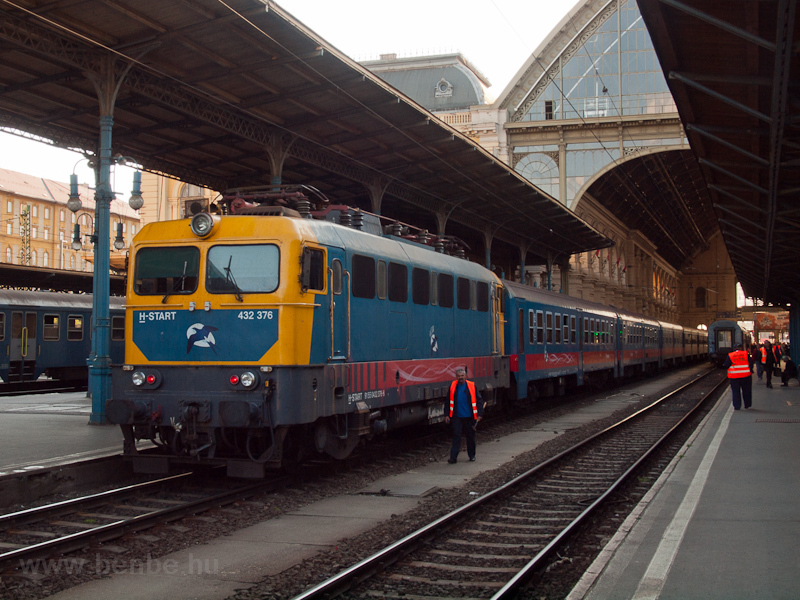 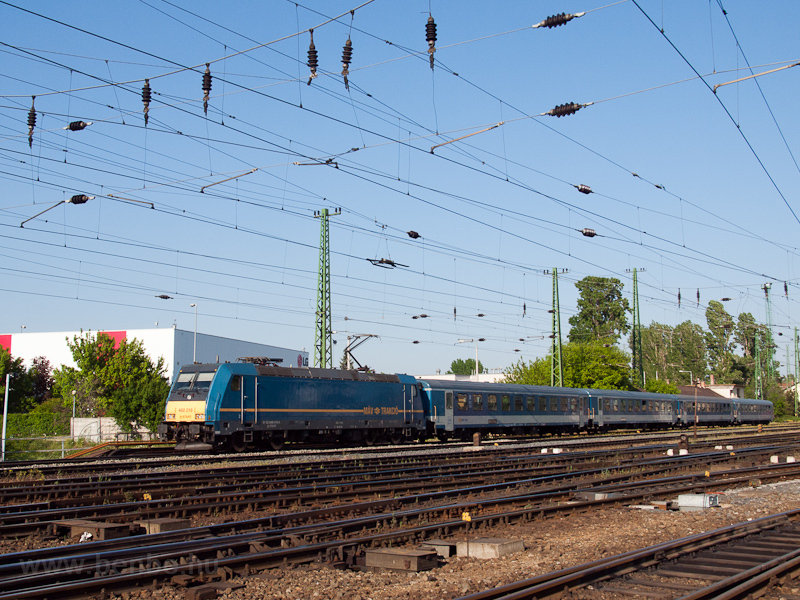 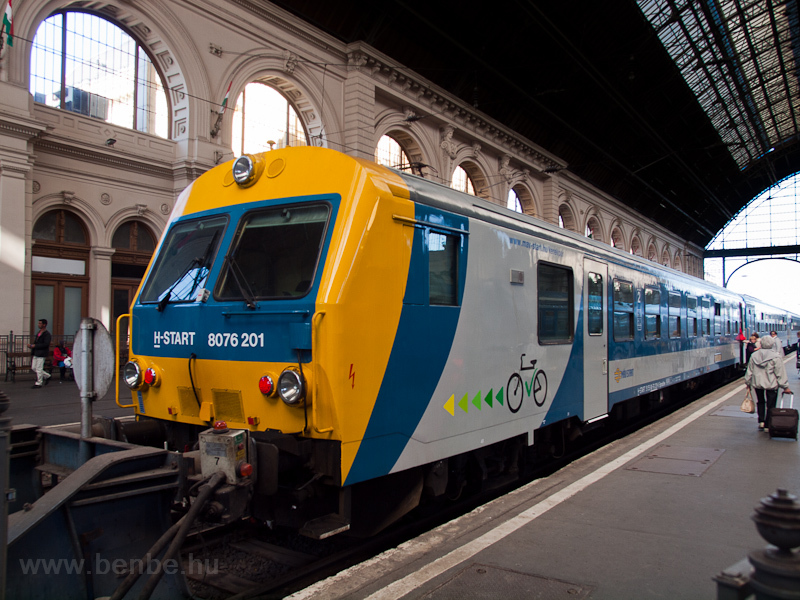 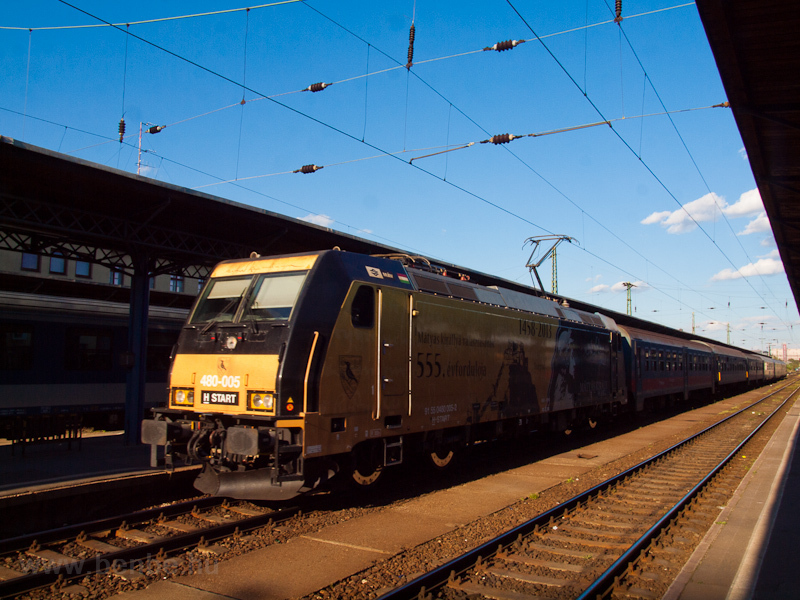 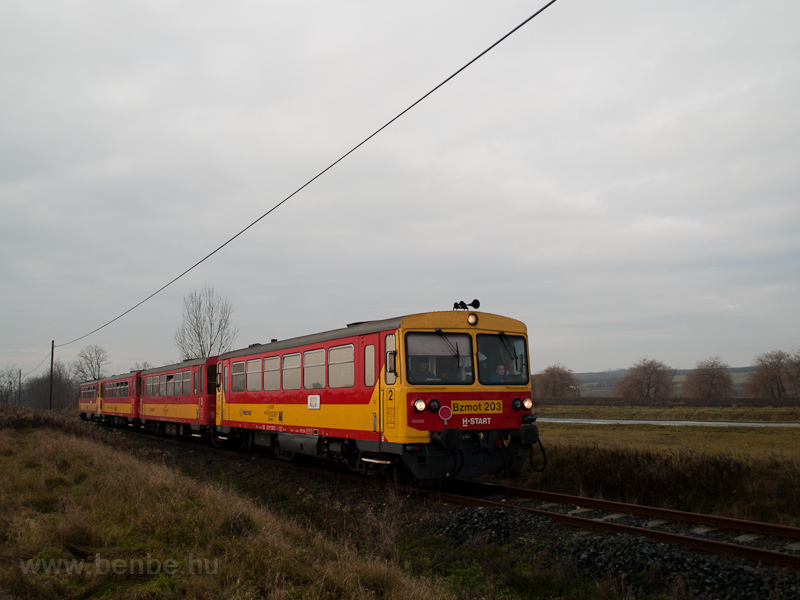 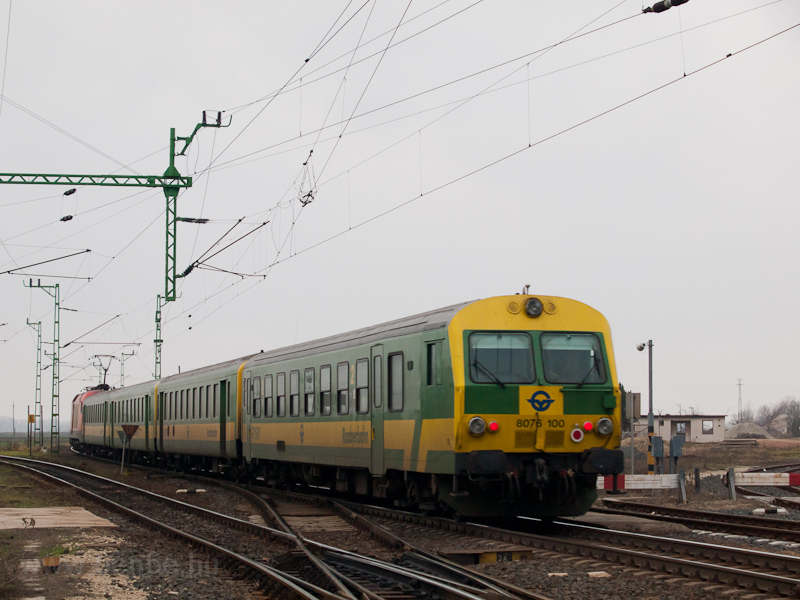 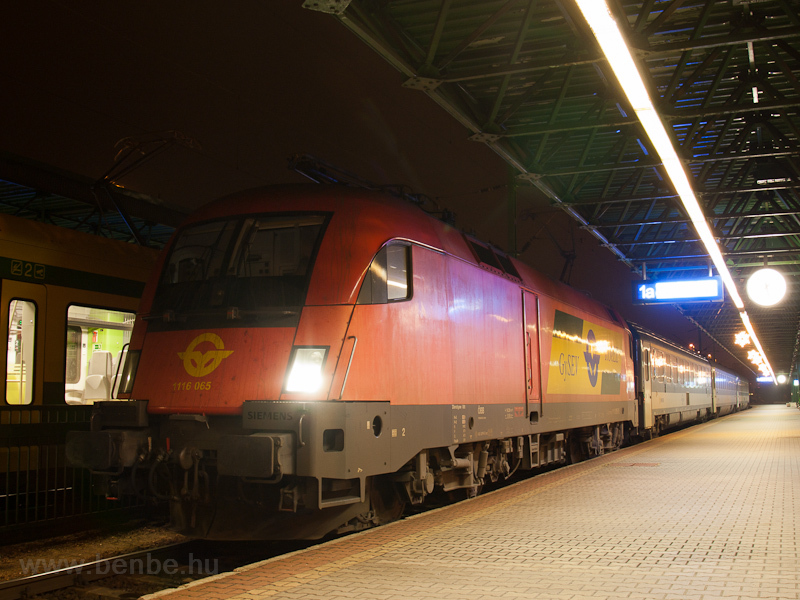 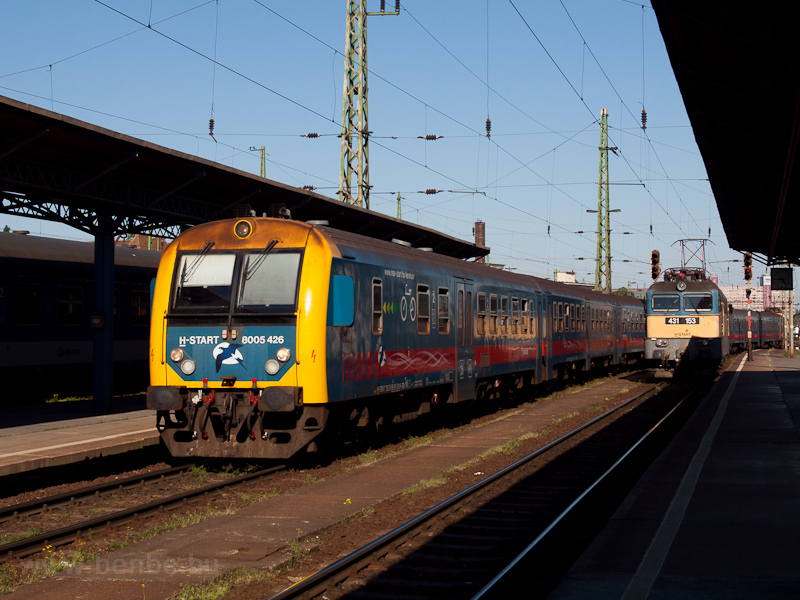 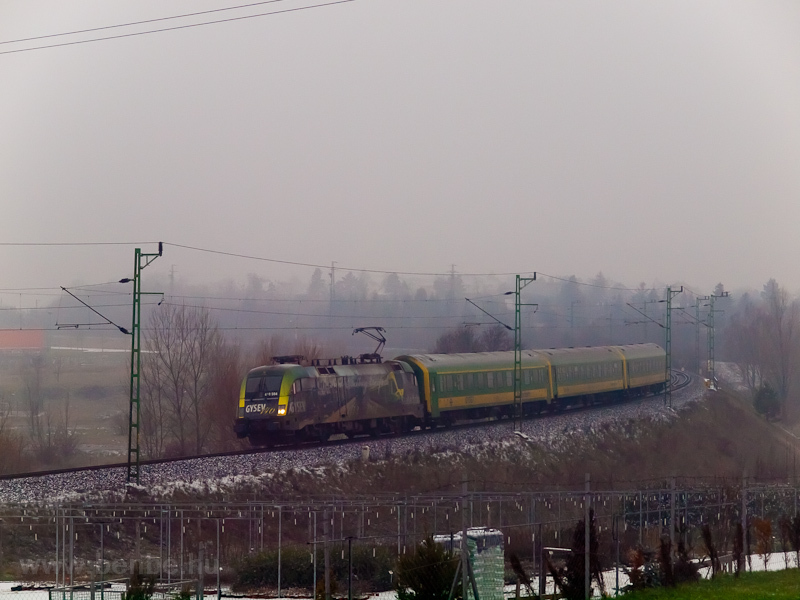 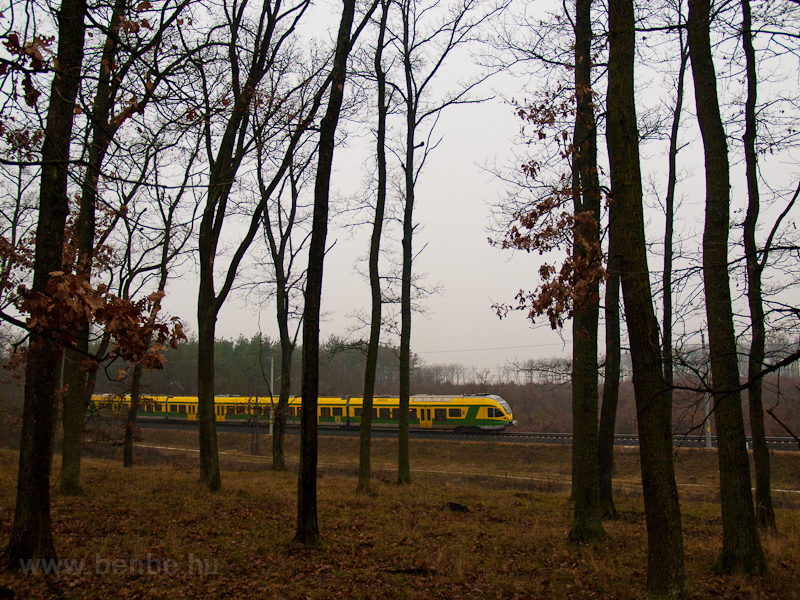 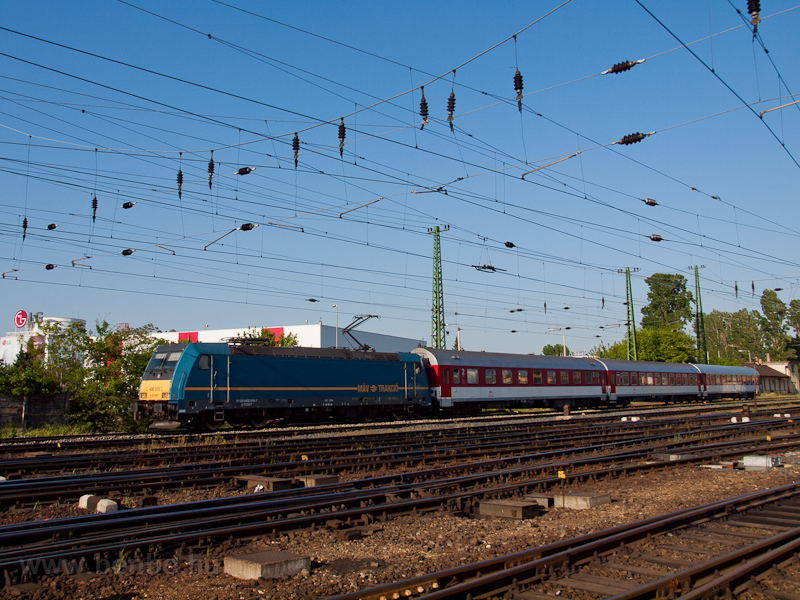 Now they are almost exclusive to the Budapest-Szolnok lines.